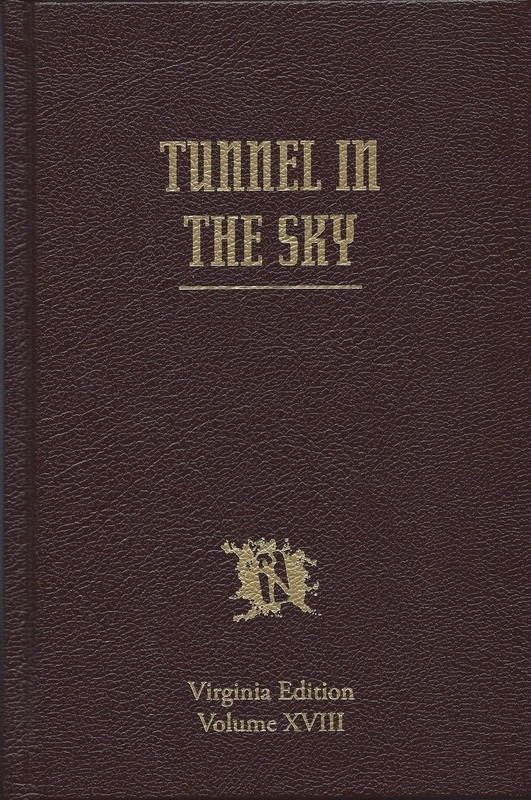 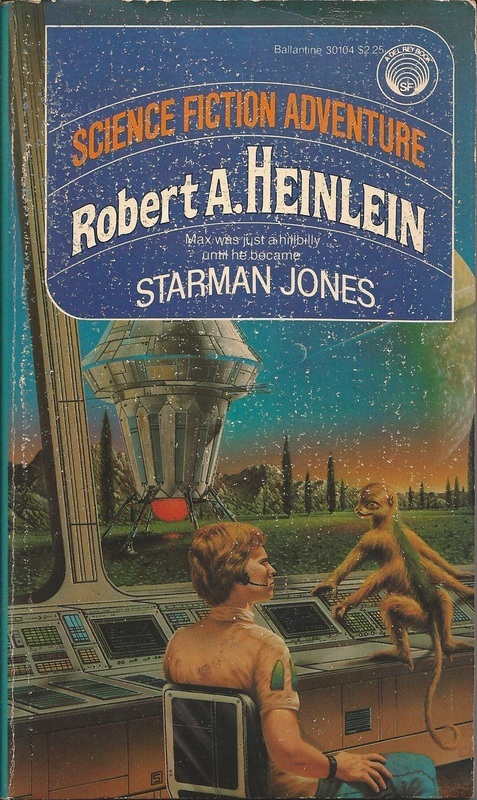 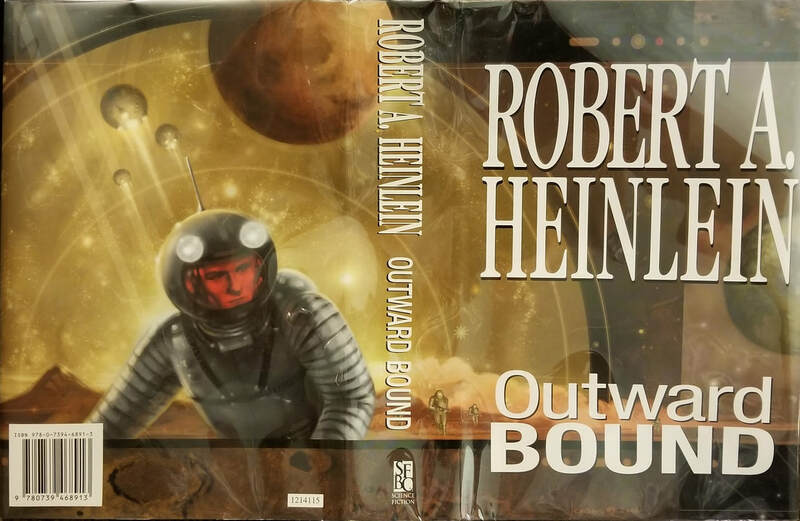 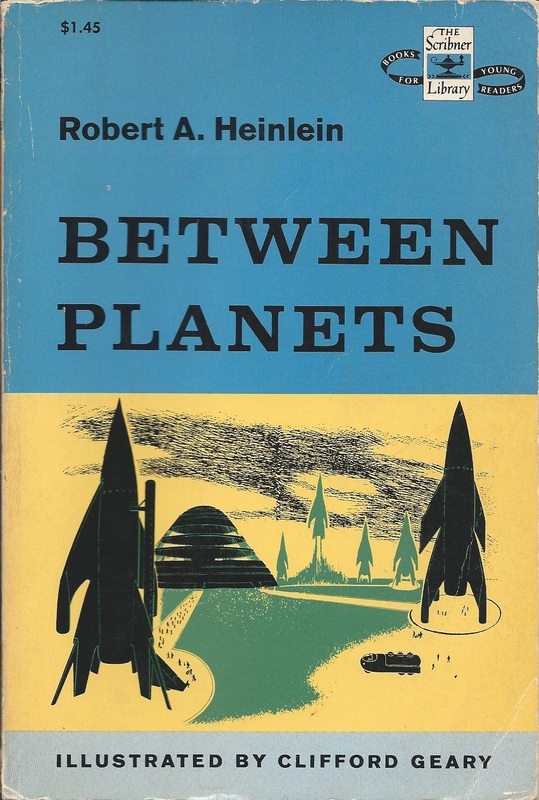 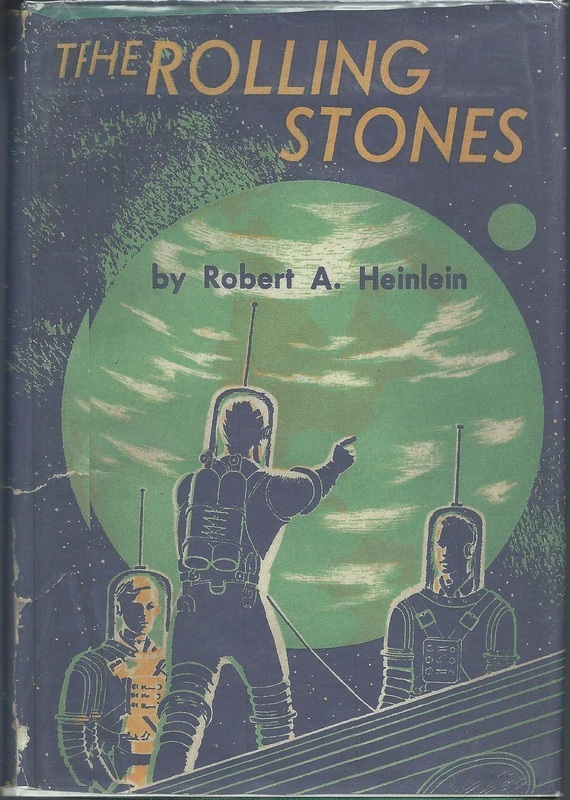 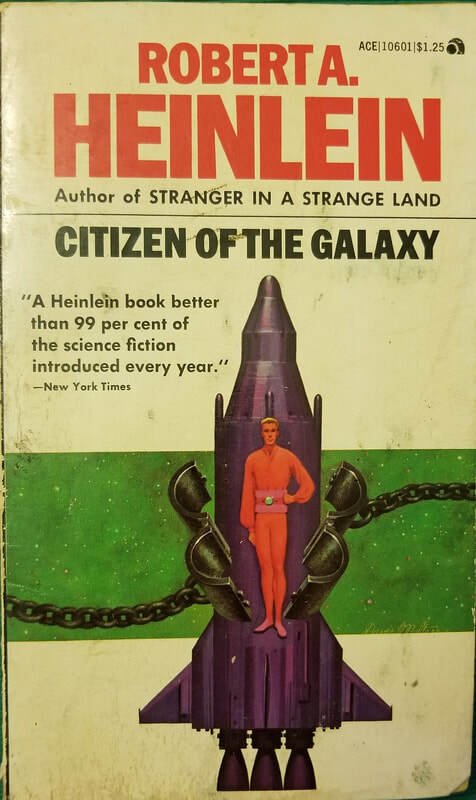 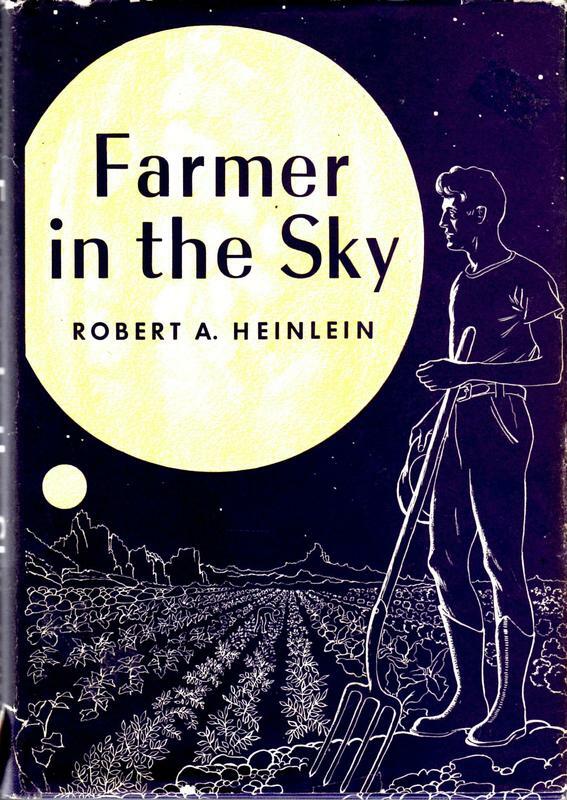 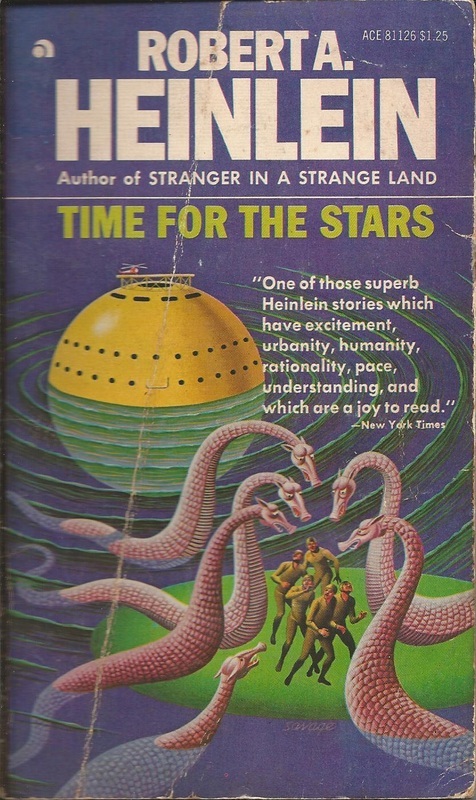 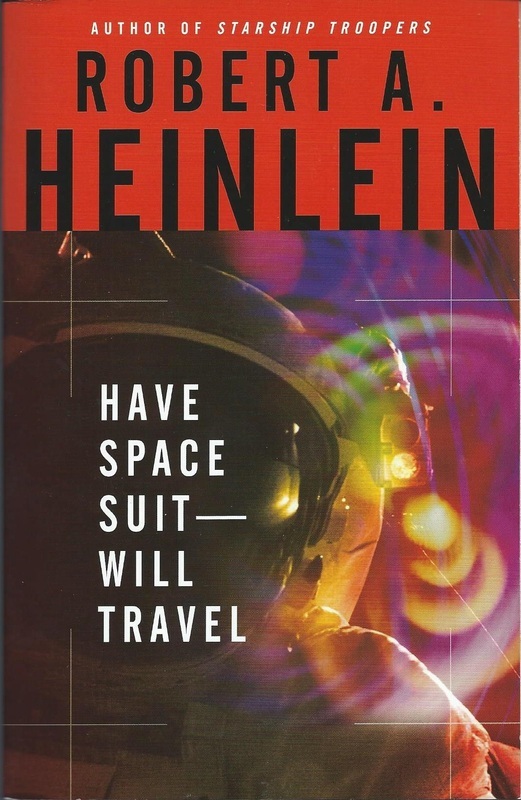 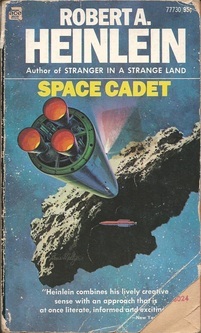 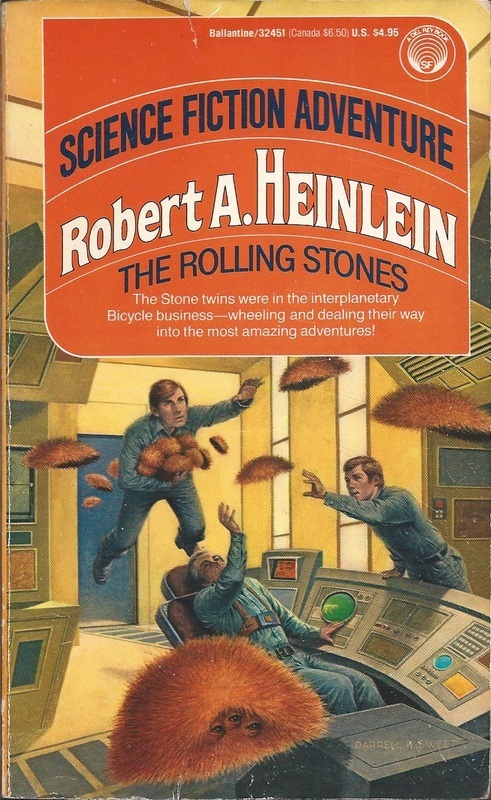 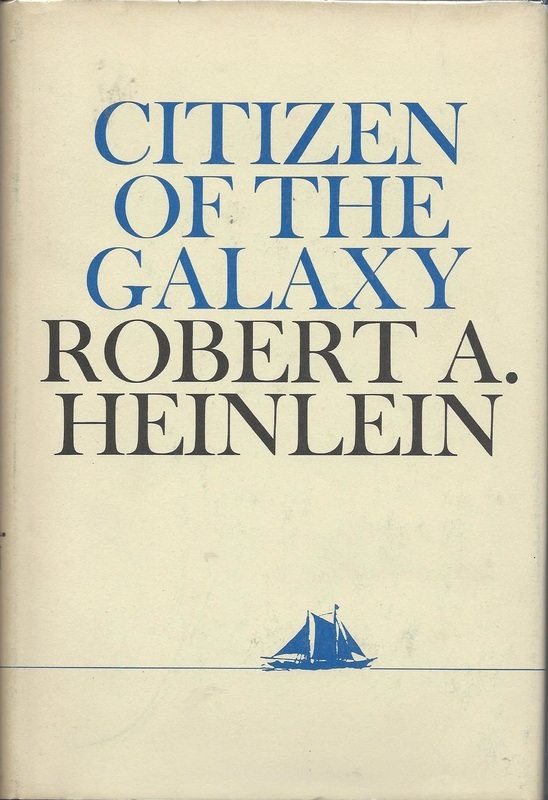 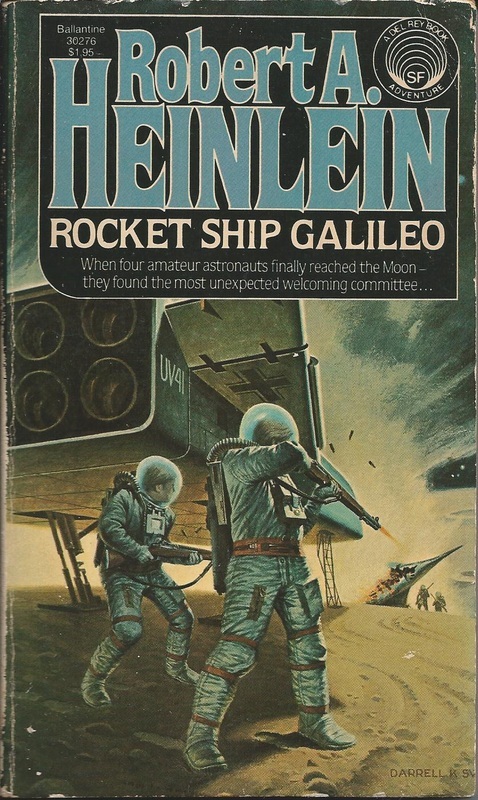 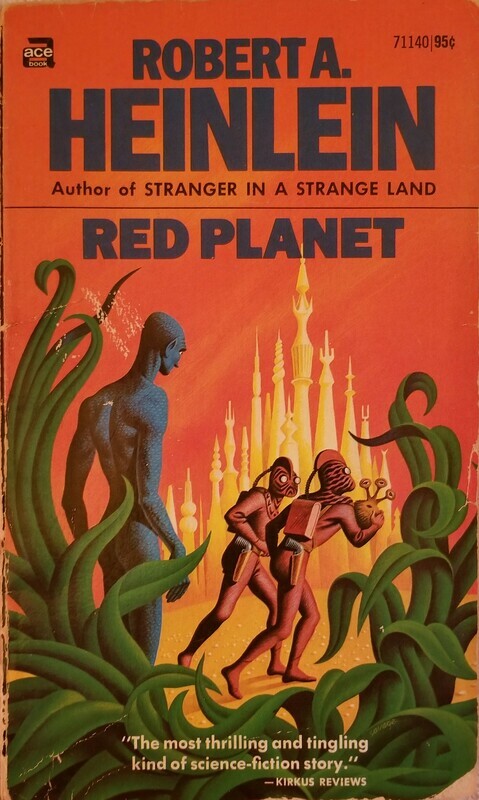 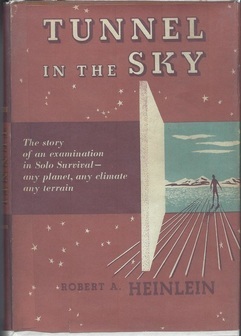 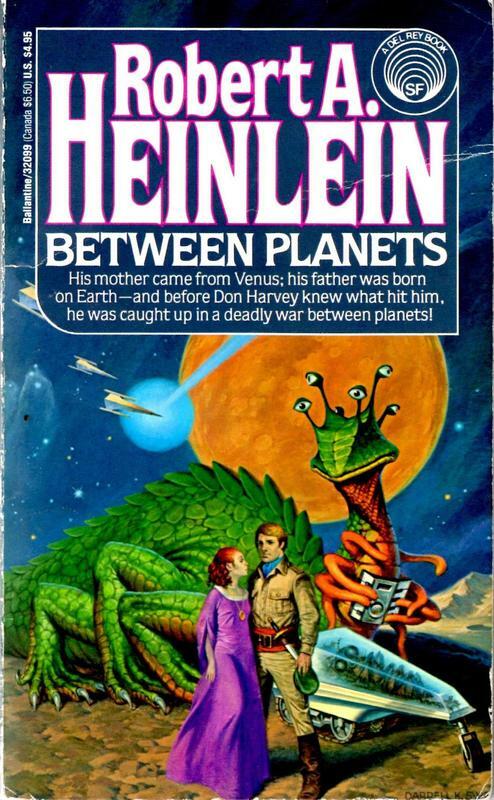 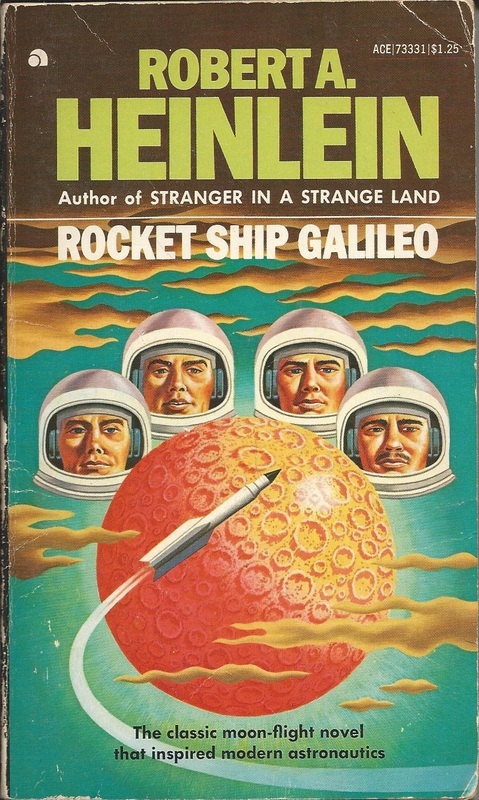 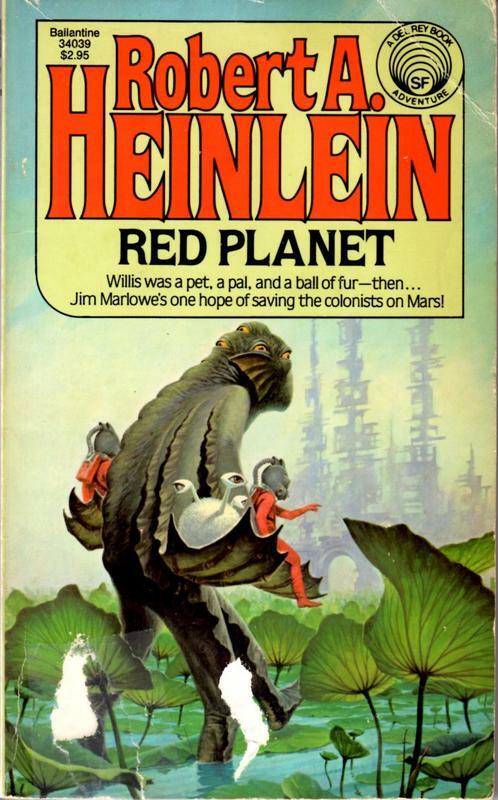 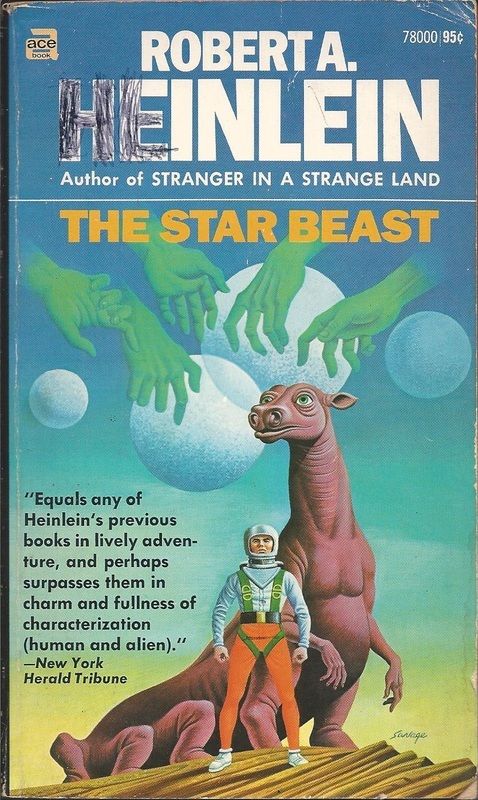 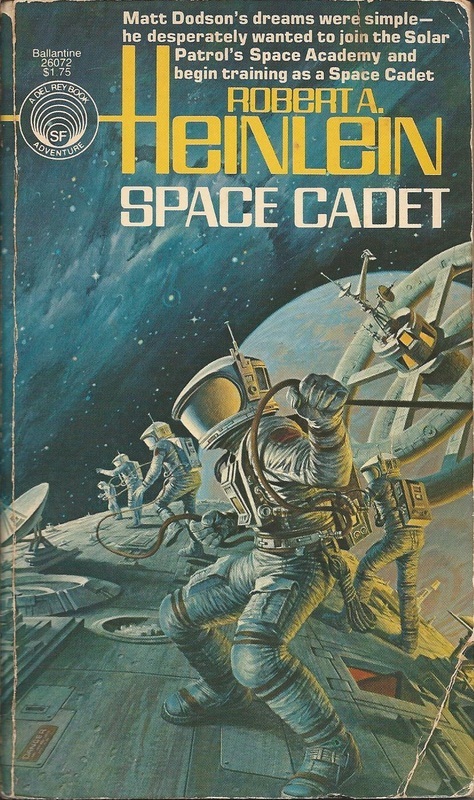 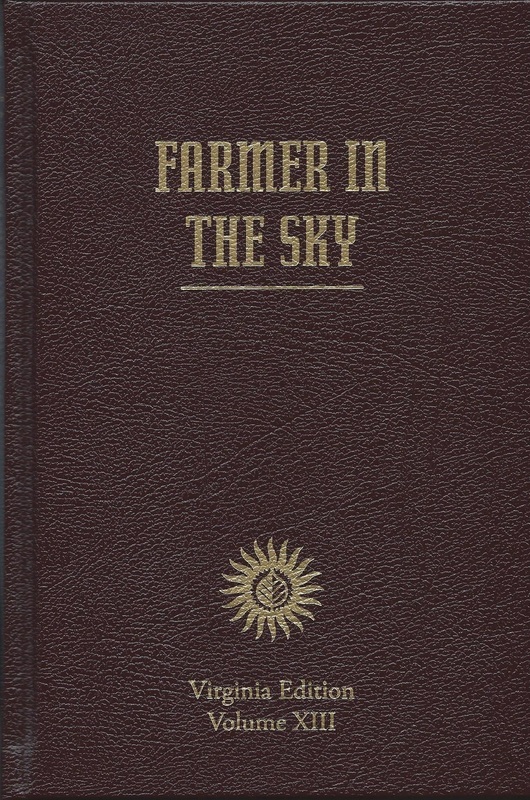 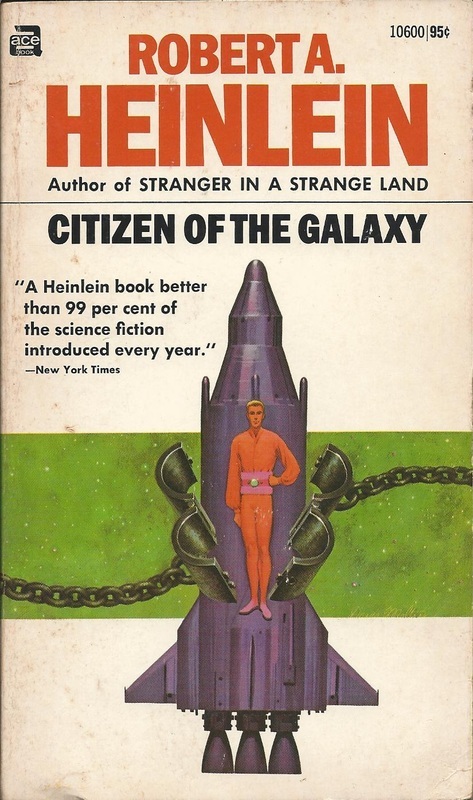 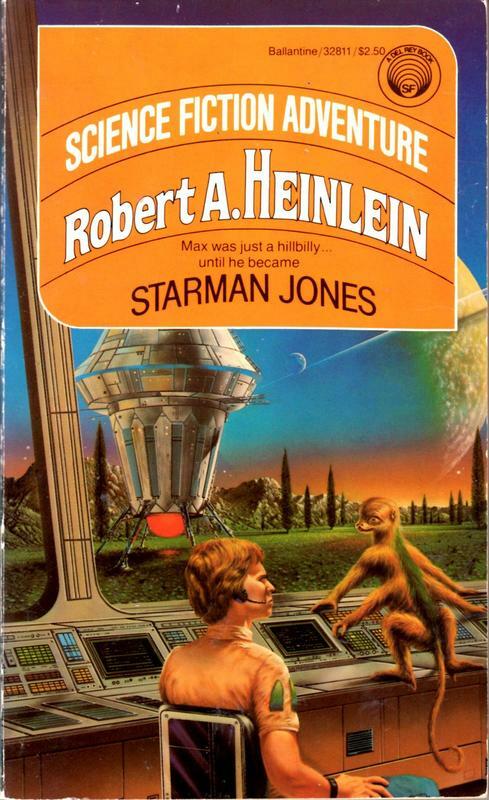 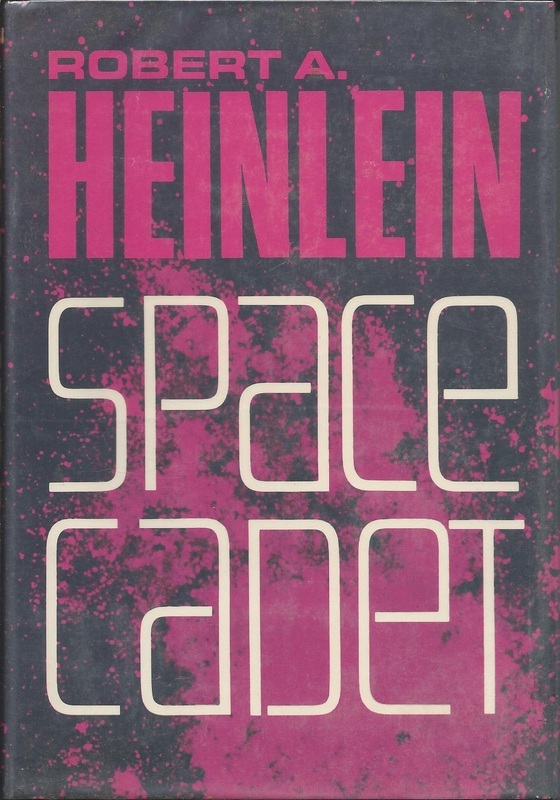 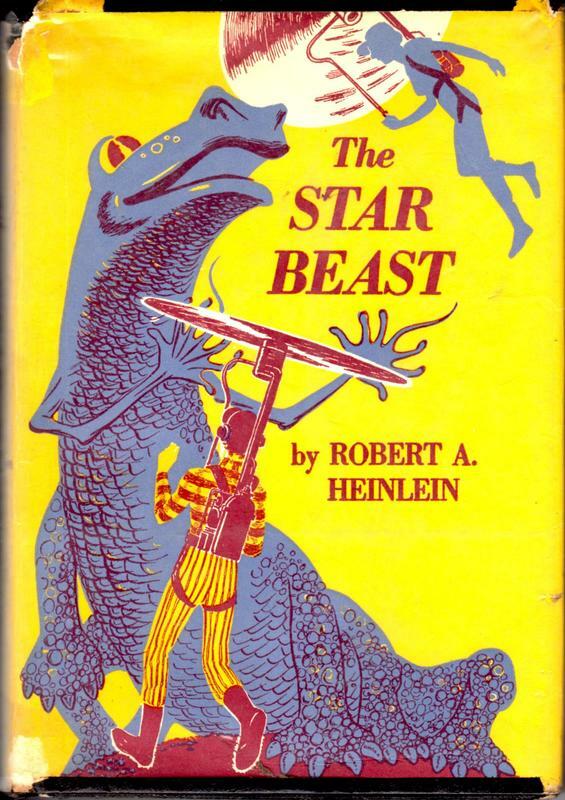 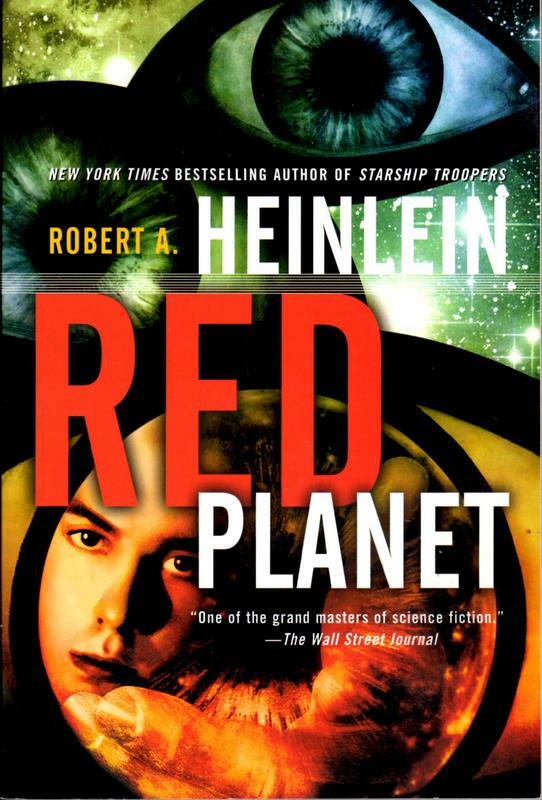 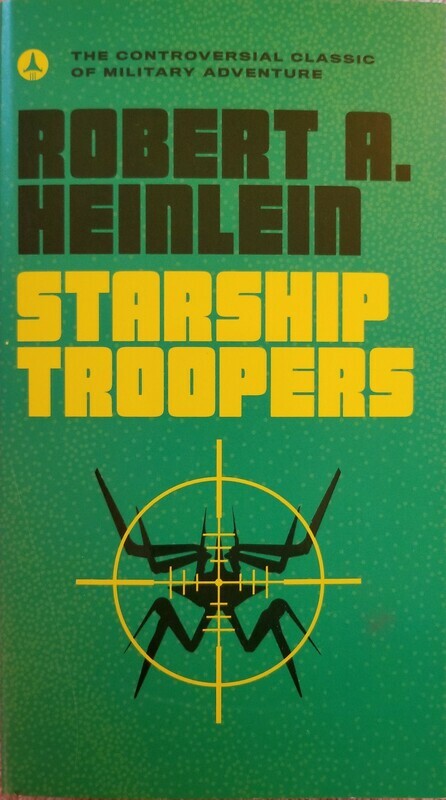 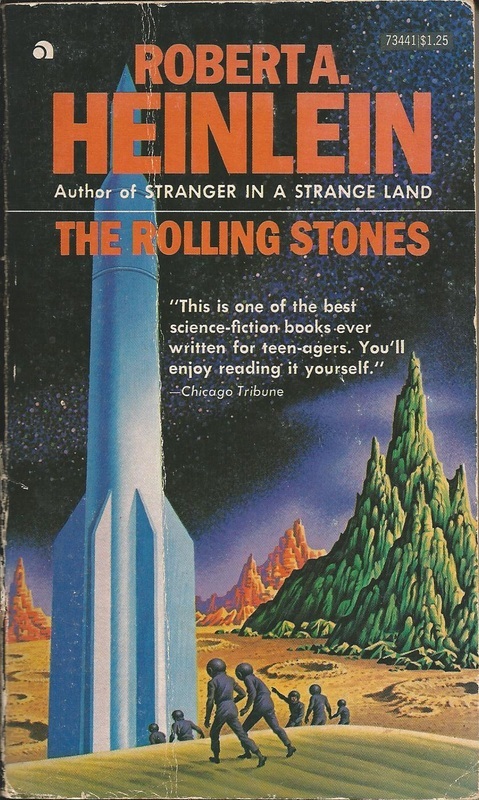 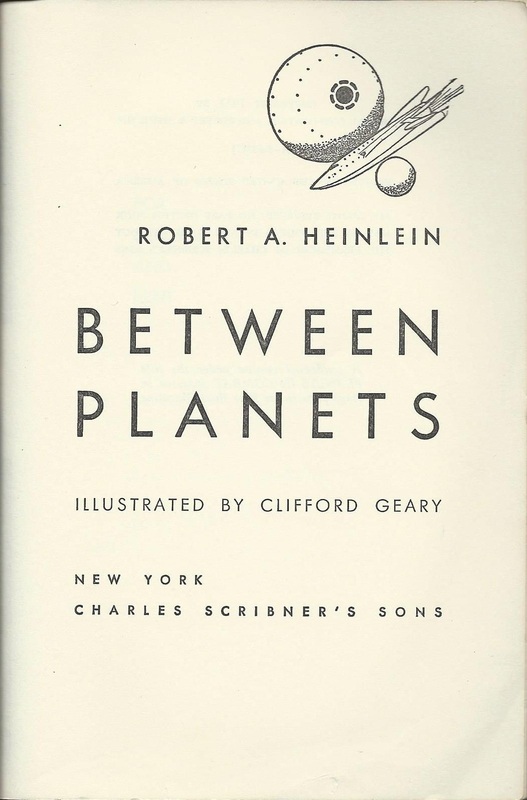 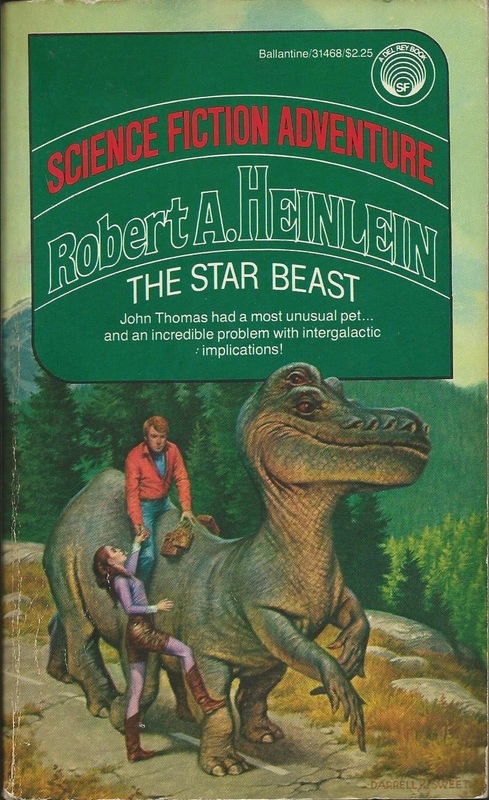 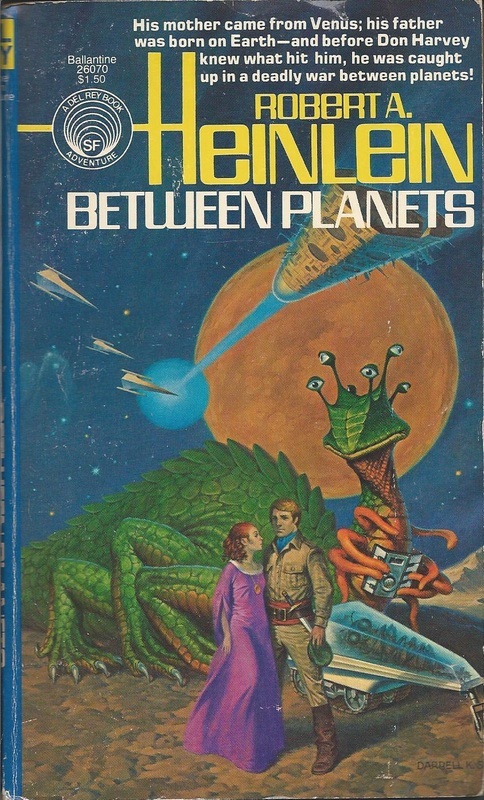 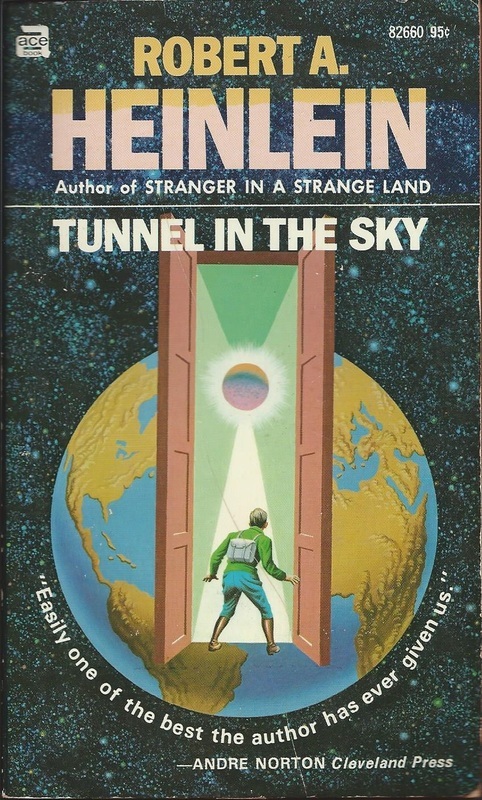 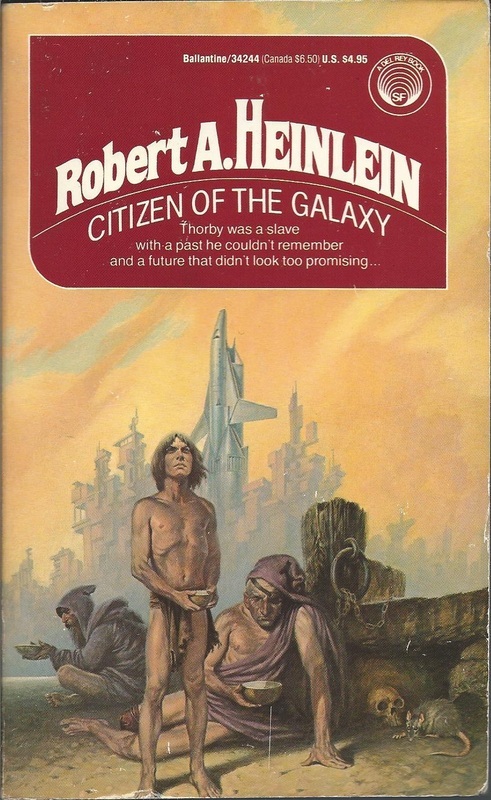 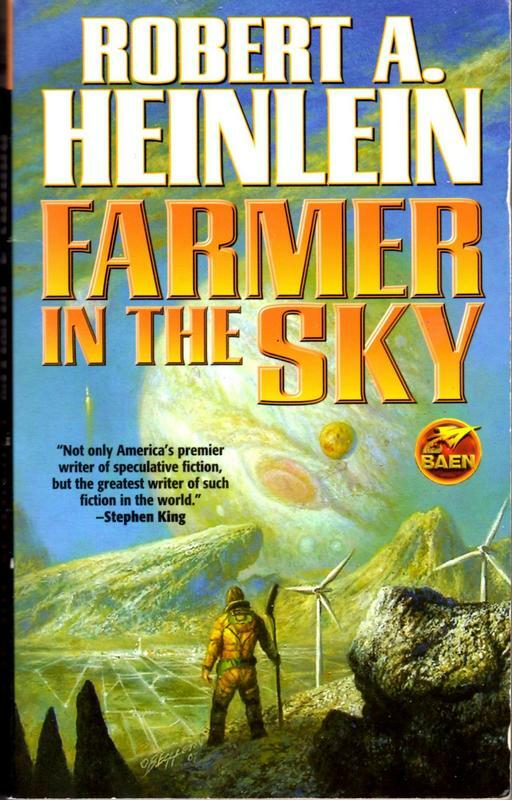 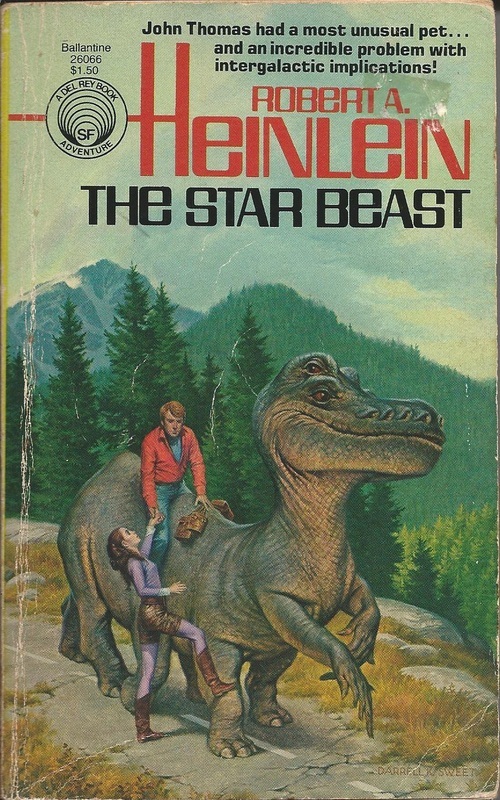 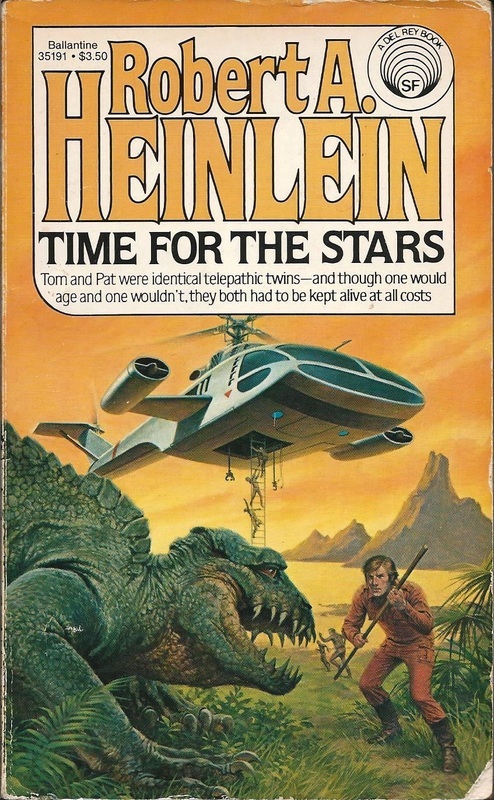 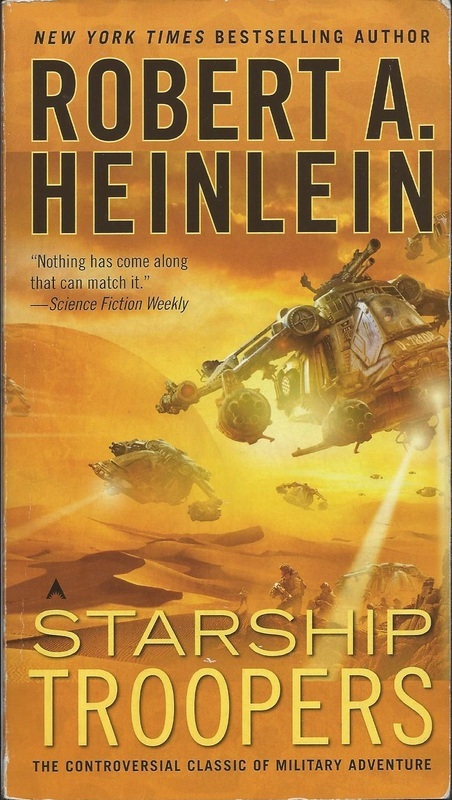 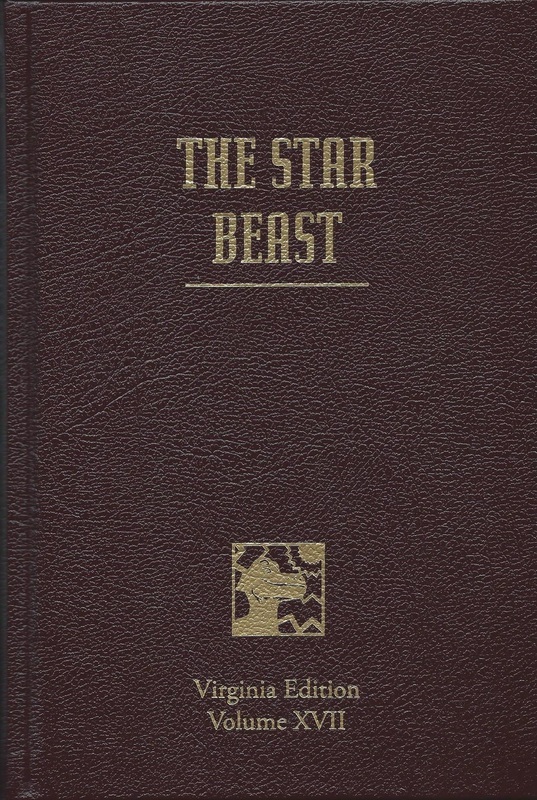 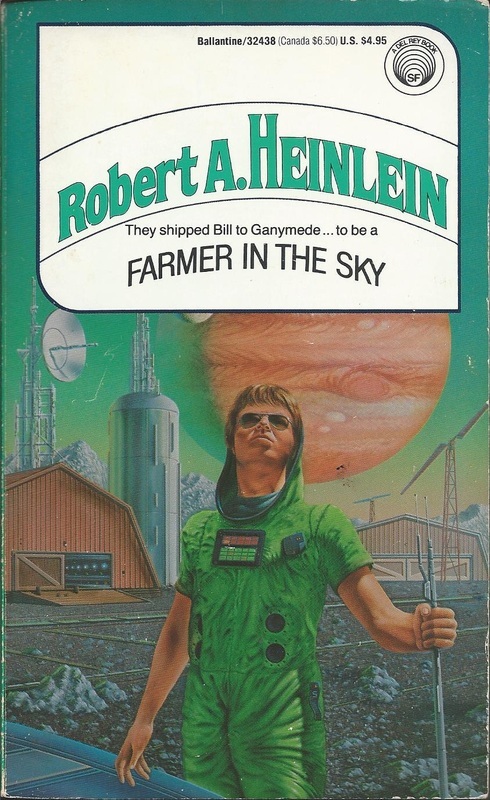 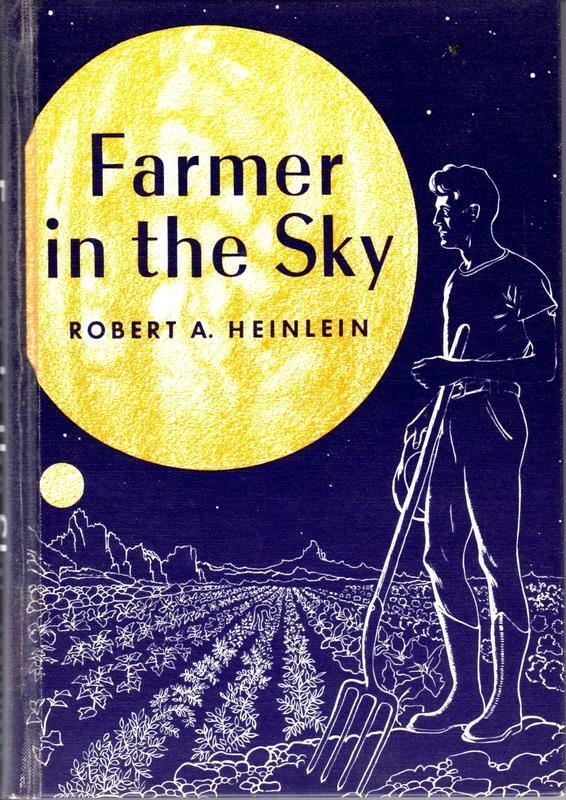 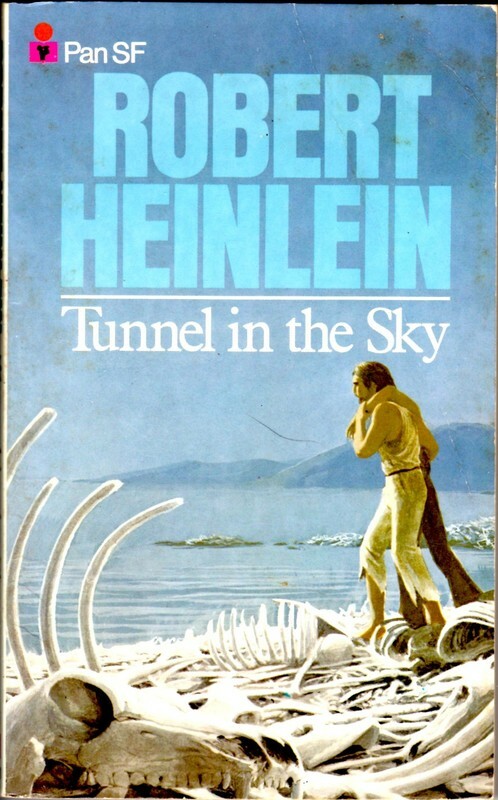 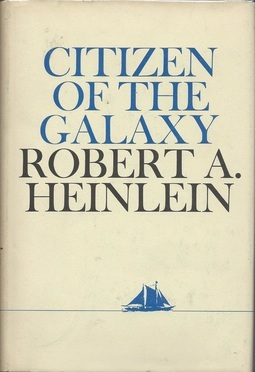 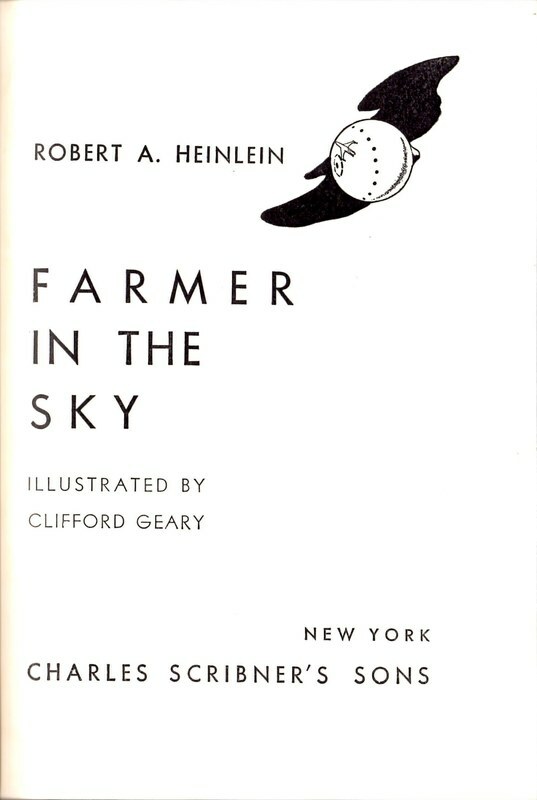 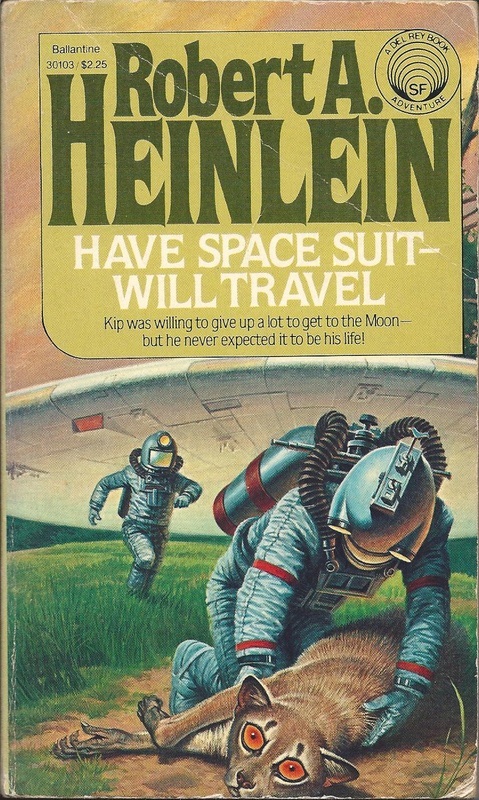 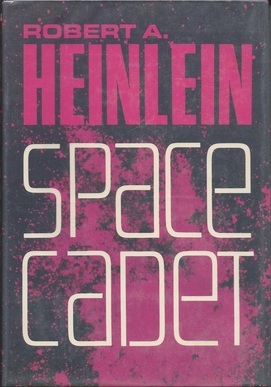 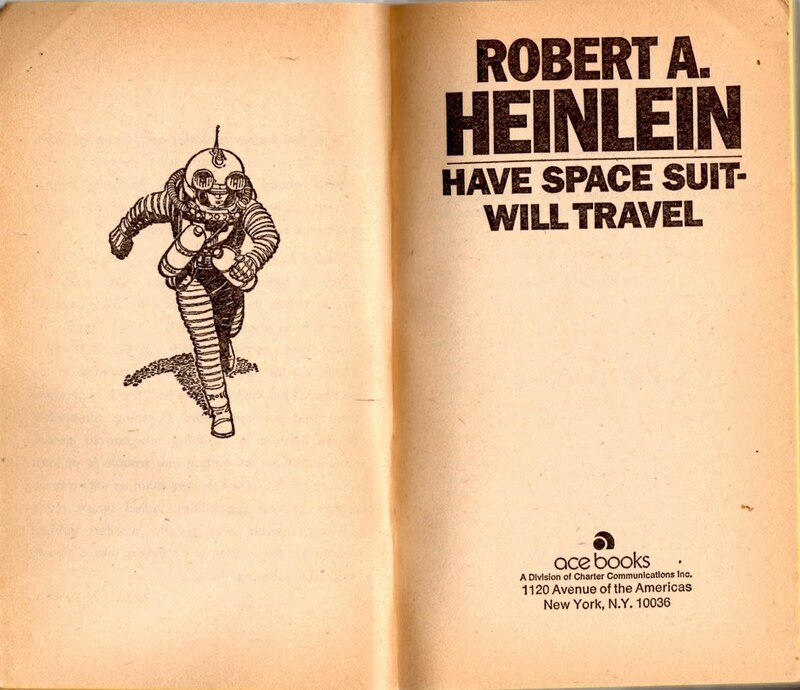 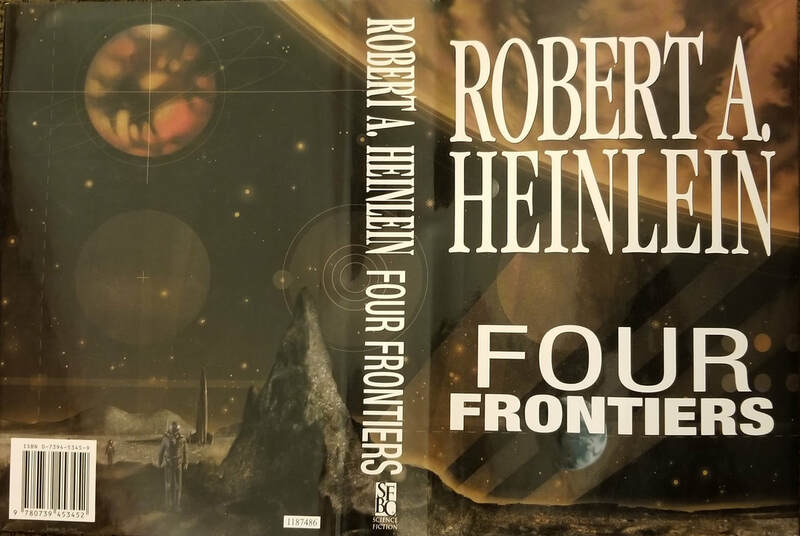 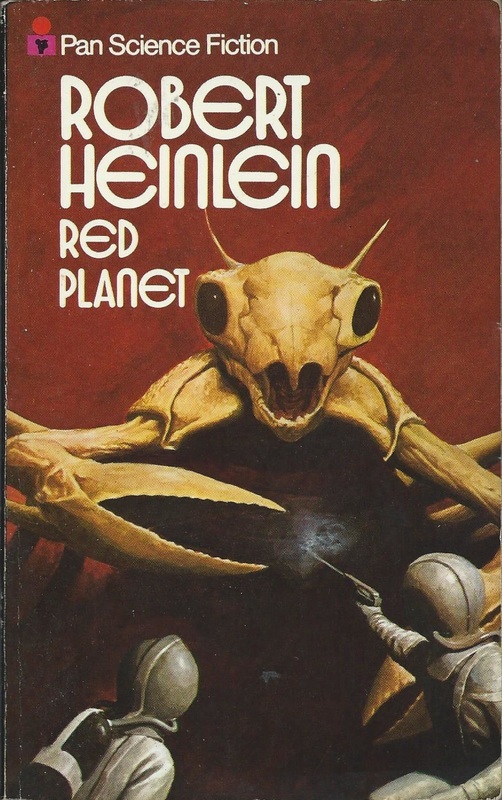 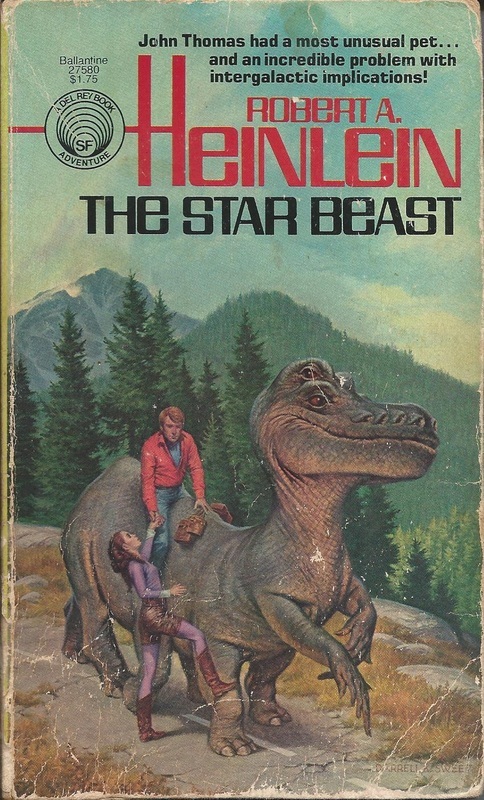 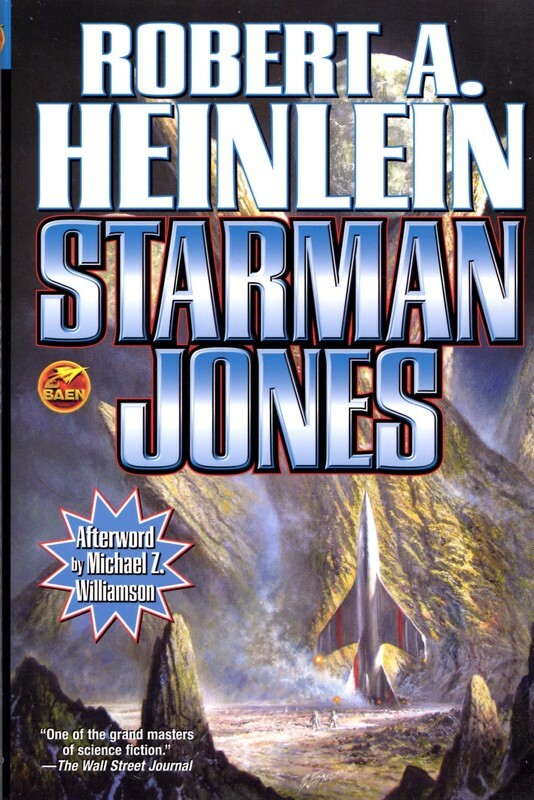 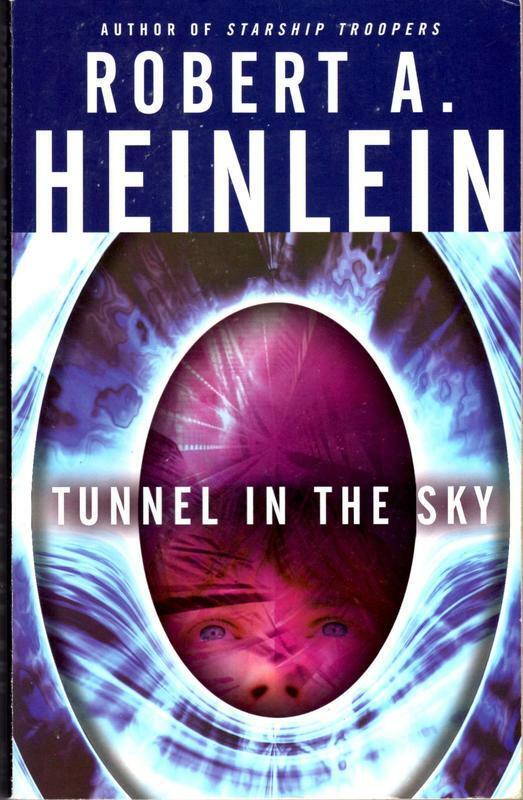 It is easy to think of Heinlein as the author of Stranger in a Strange Land, which opened the 1960s with a merciless critique of organized religion, monogamy and the nuclear family, and perhaps even apple pie, or as author of the ever-larger and more controversial novels that followed until his death. 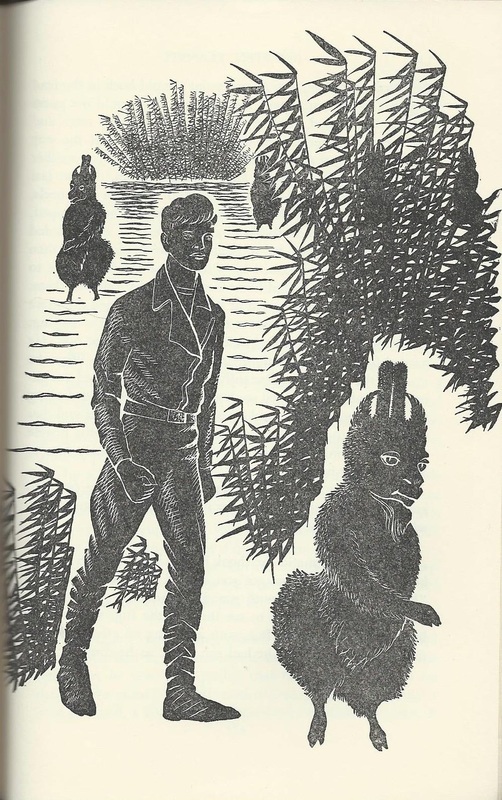 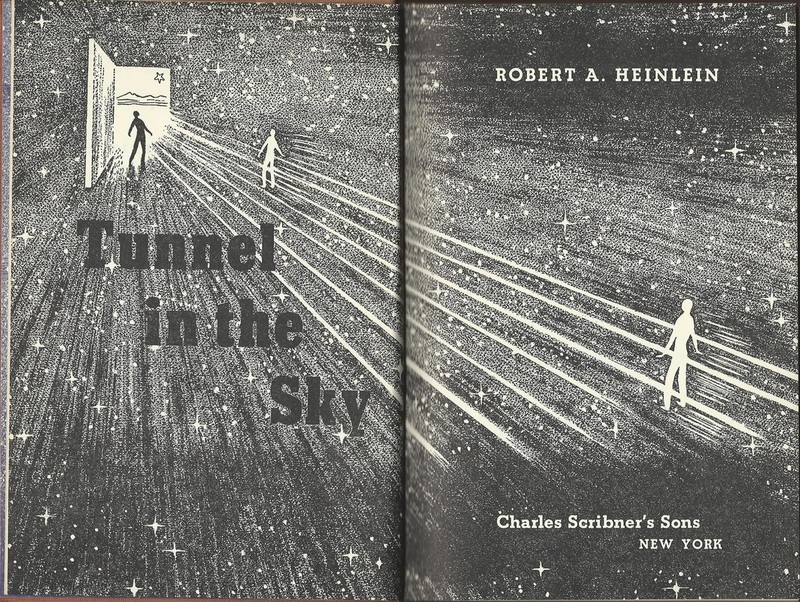 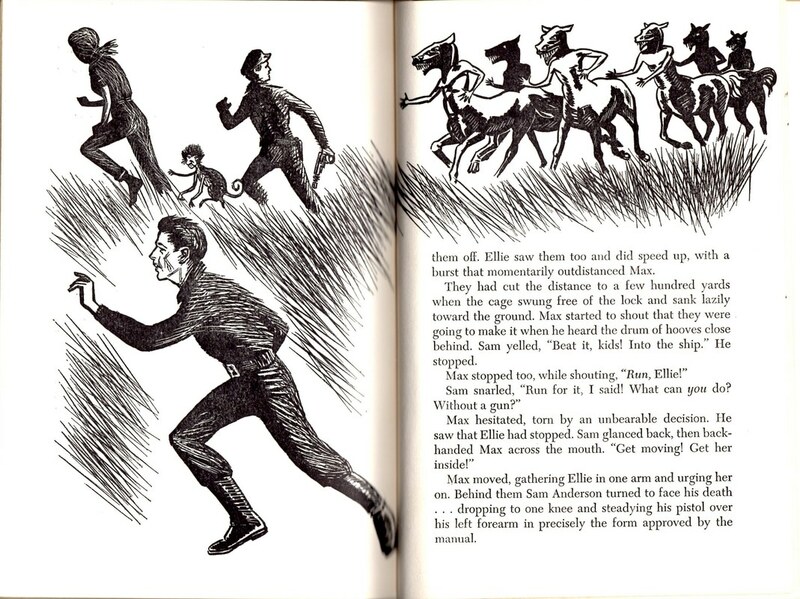 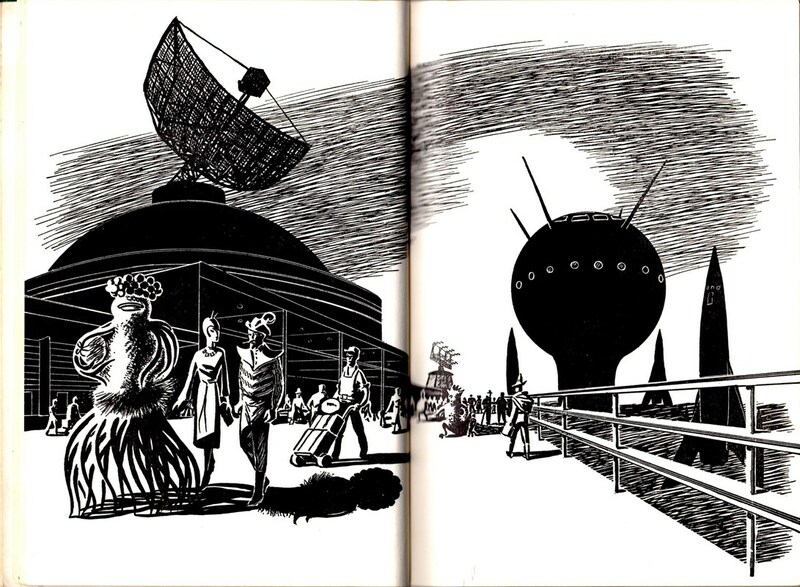 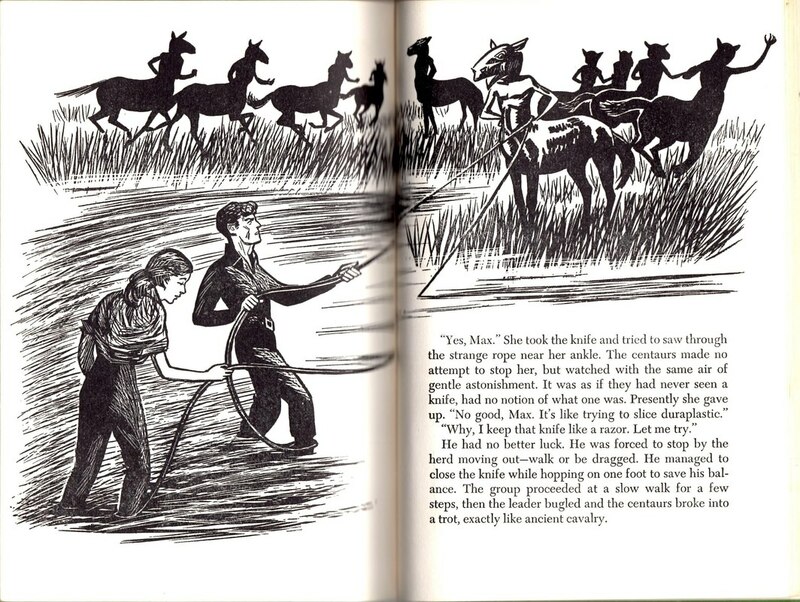 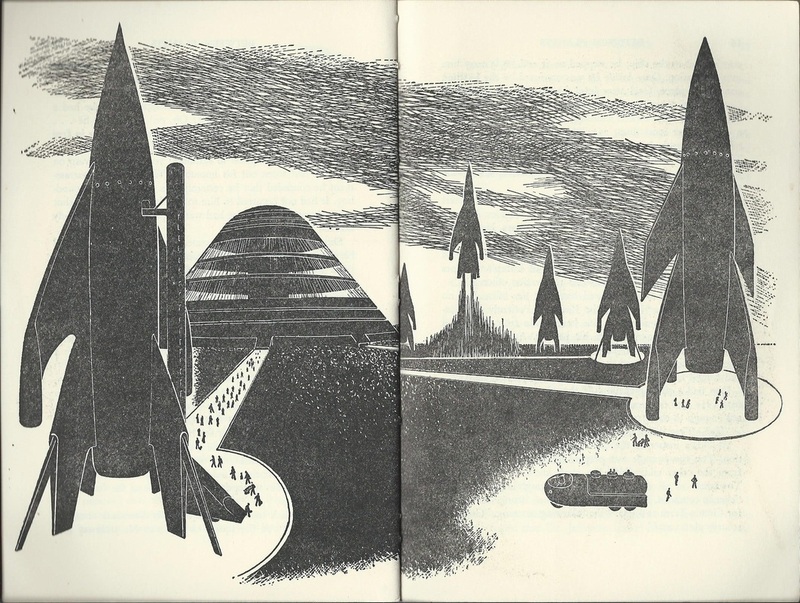 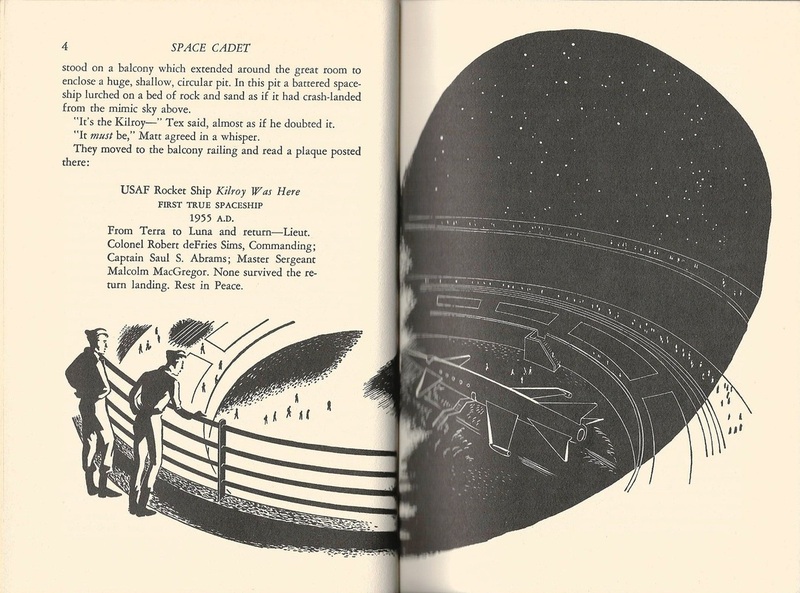 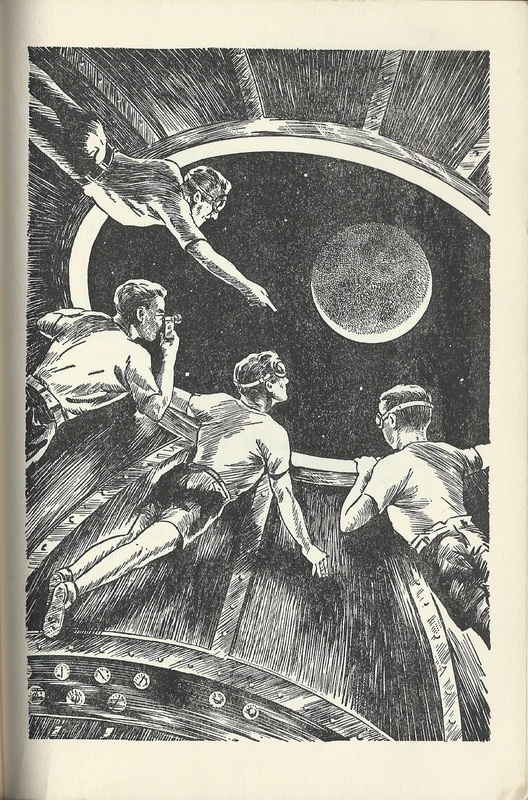 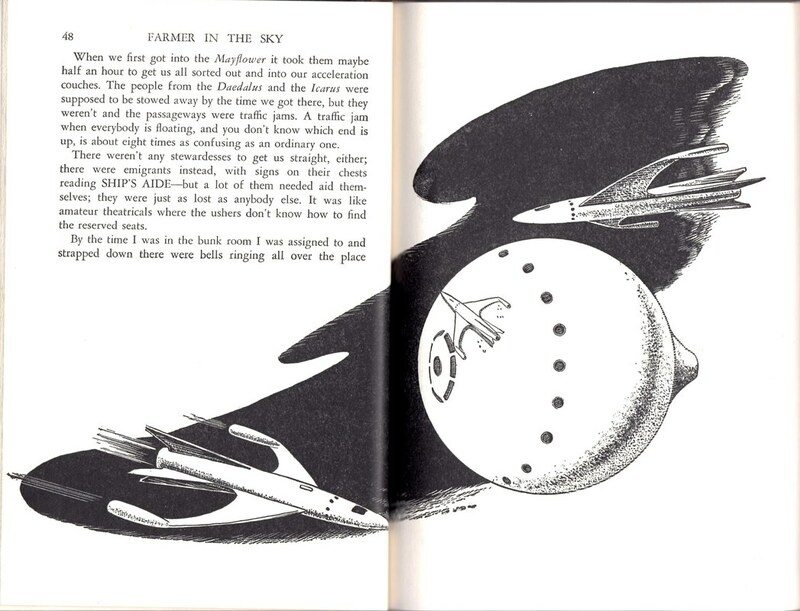 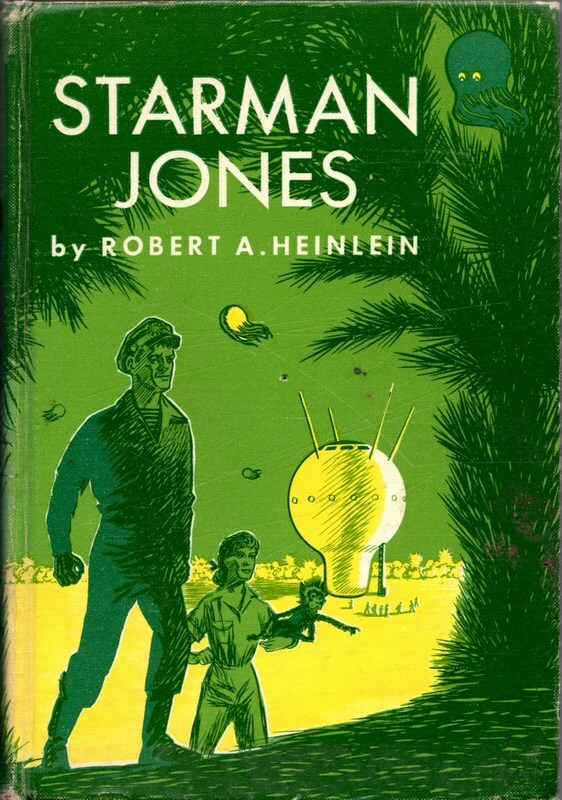 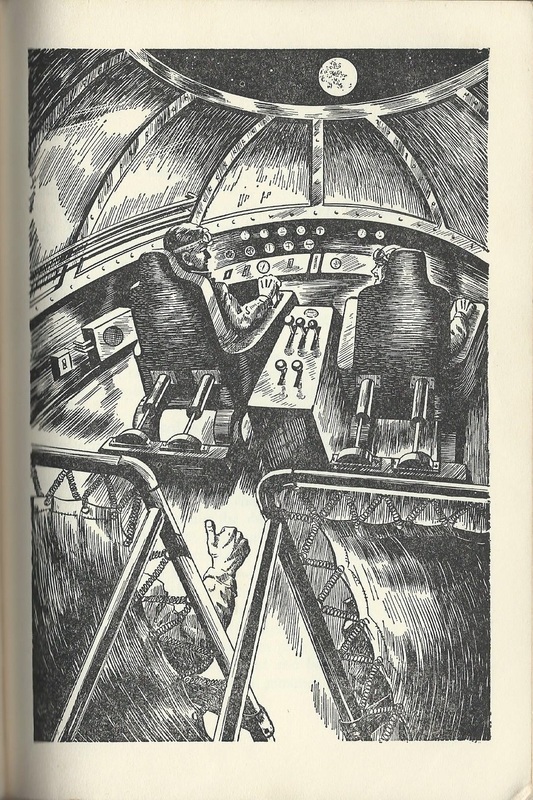 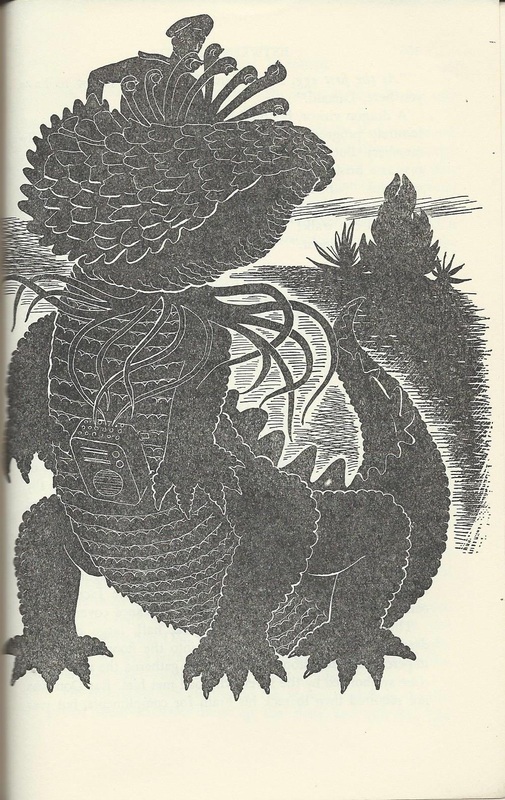 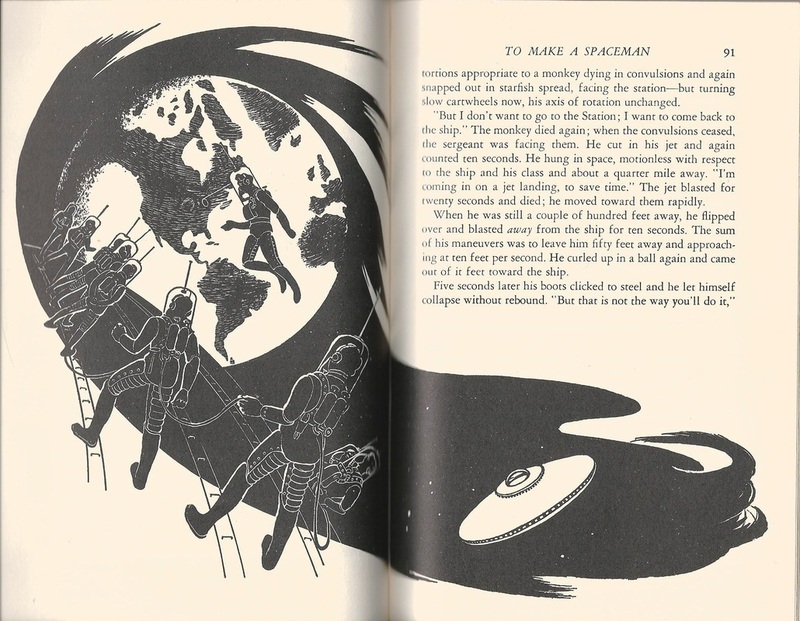 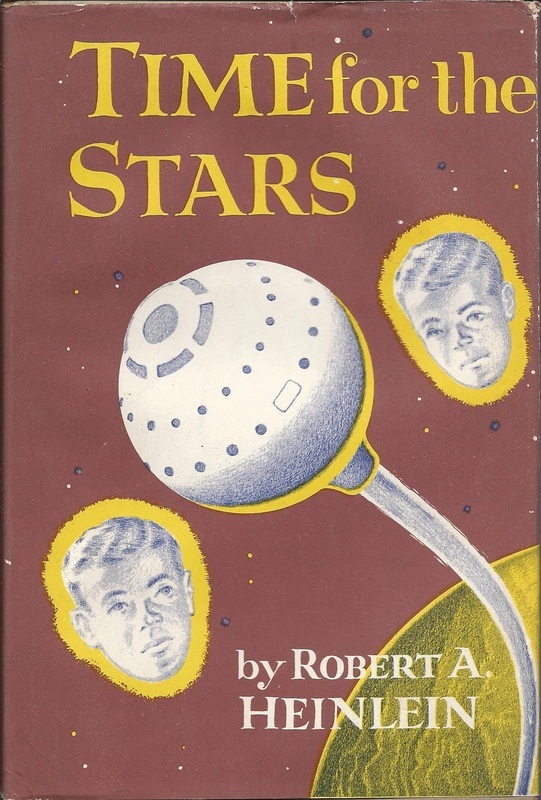 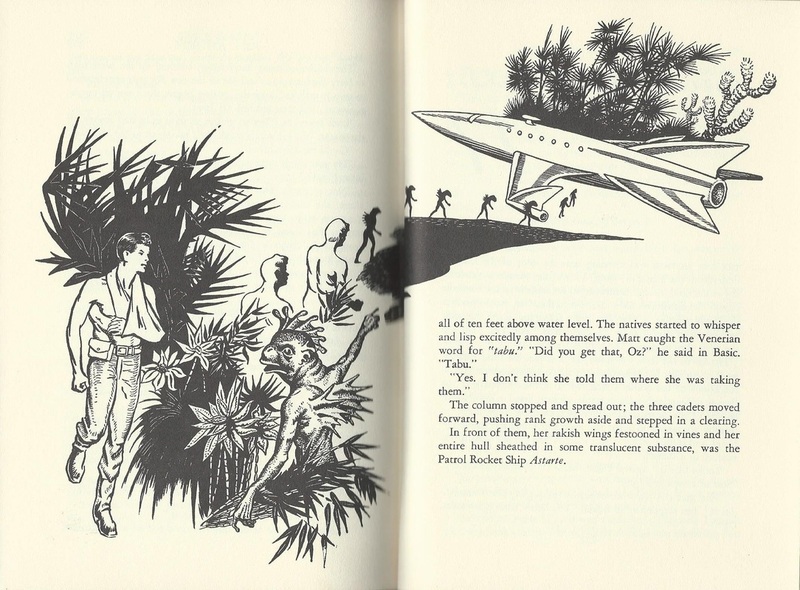 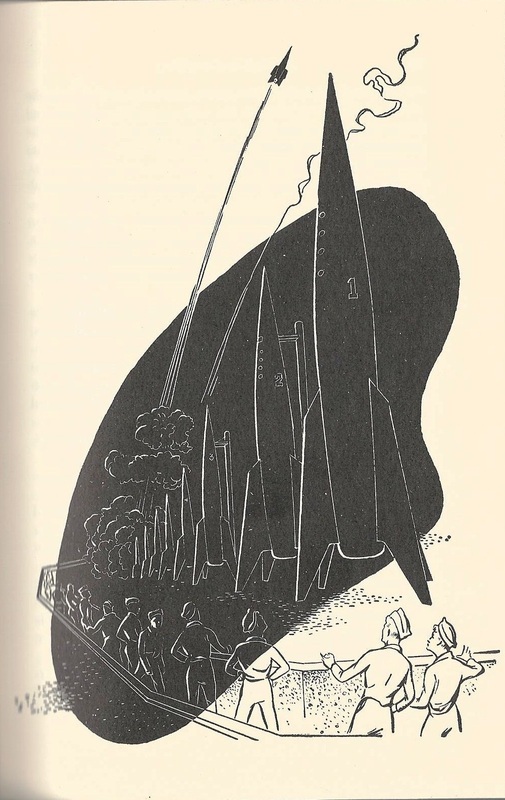 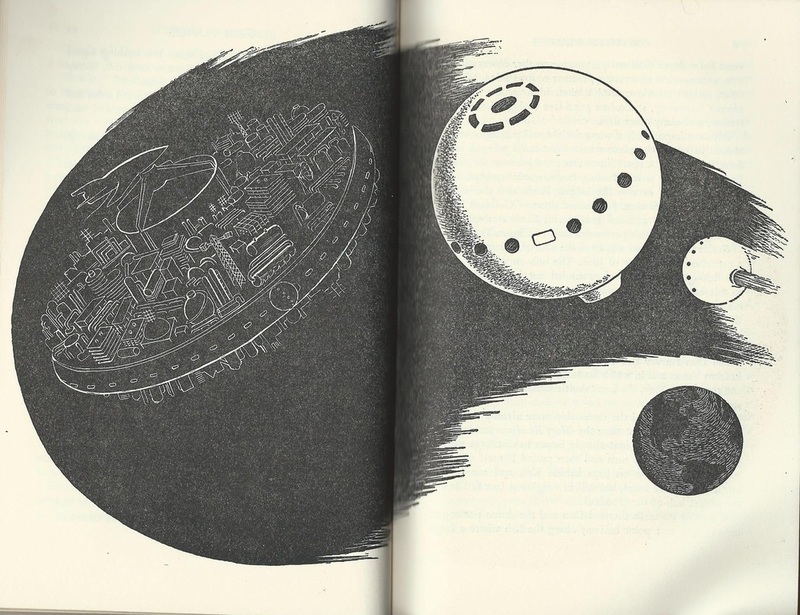 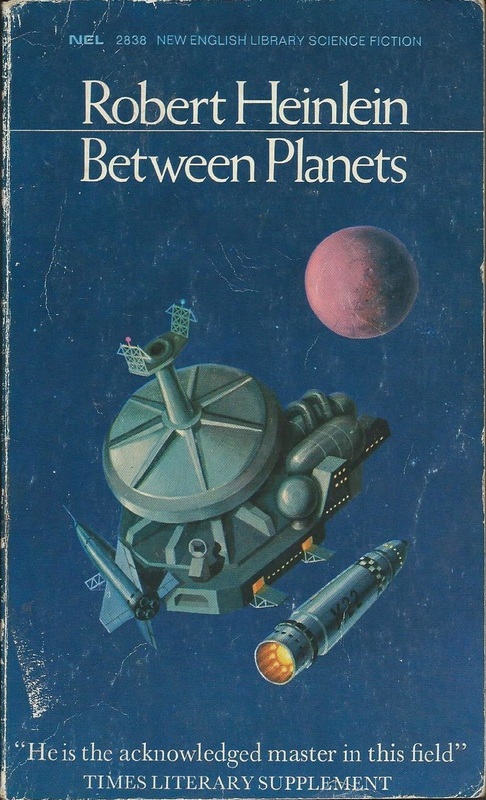 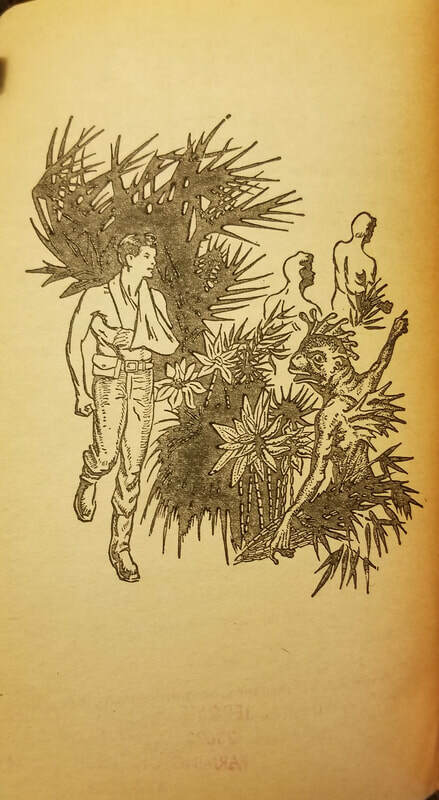 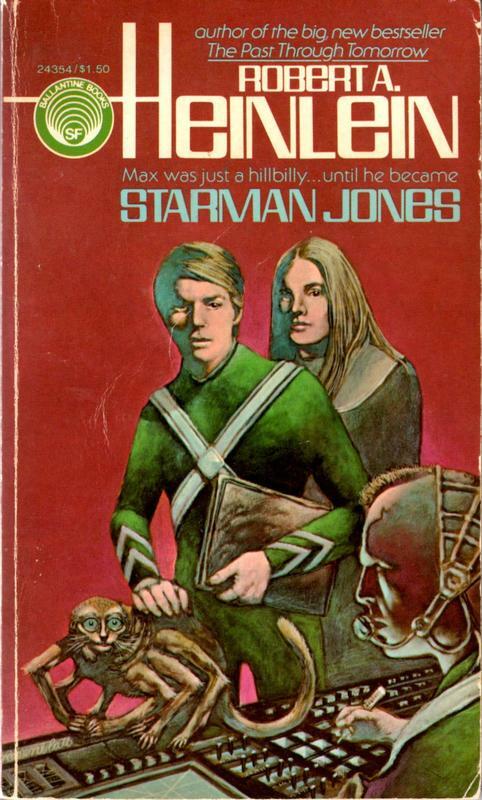 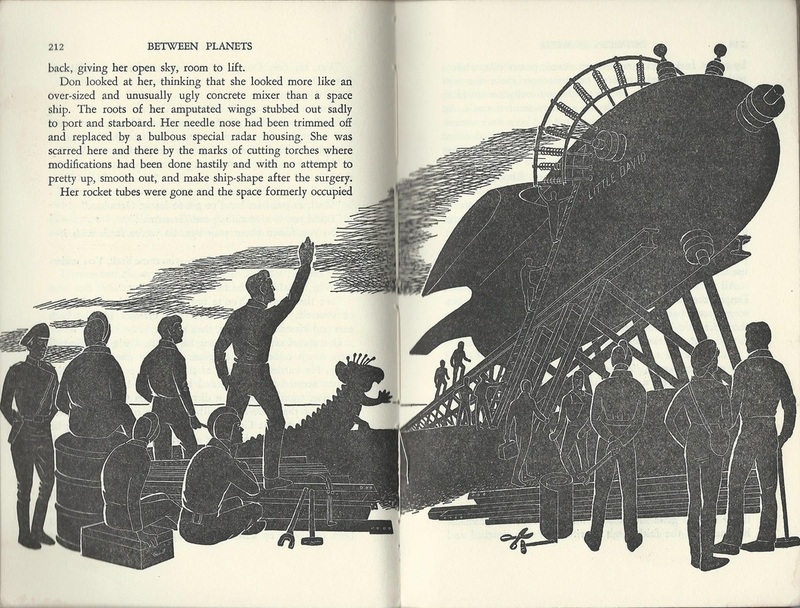 The so-called juveniles, however—the dozen novels written for what we now would call the young-adult market, and published between 1947 and 1958—are of perhaps equal import to the genre of science fiction, and to our culture and history in general. 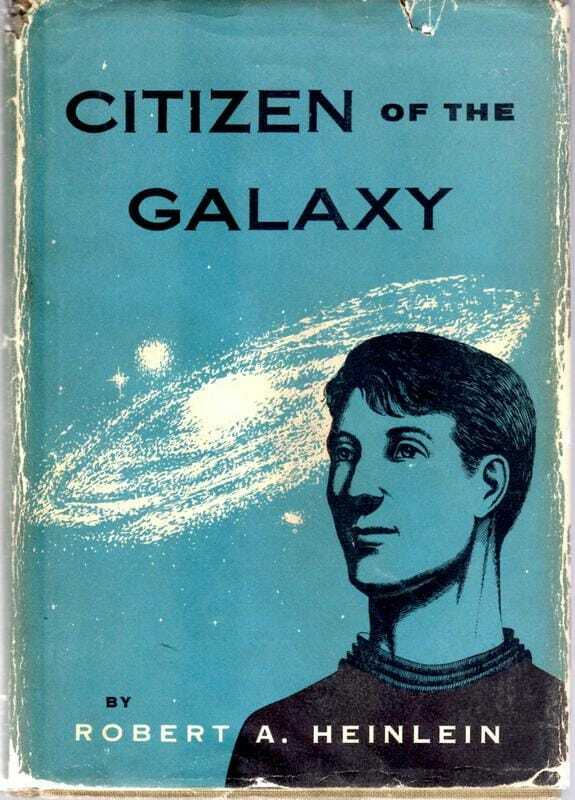 First, they all are quite decently written, and some are very fine indeed. 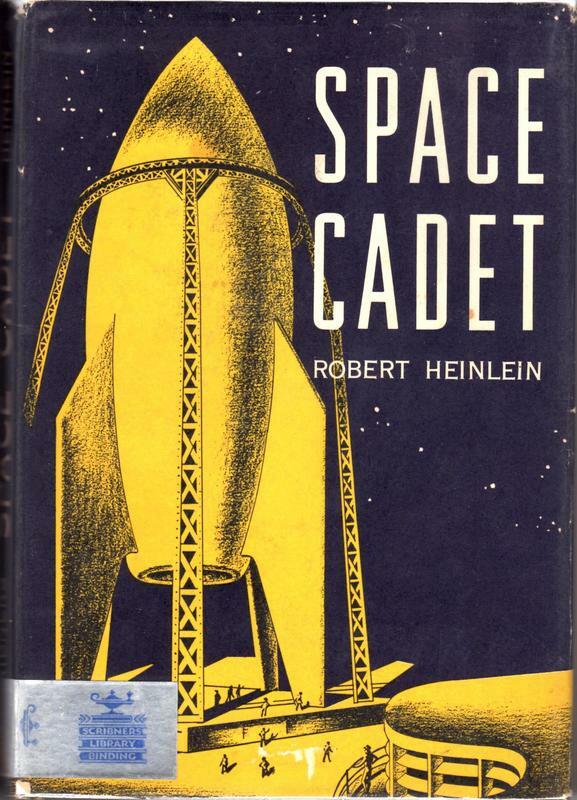 While dealing with teenagers coming into the adult world of responsibility and decision and uncertainty, these books are rarely simple, and they never talk down to their audience. 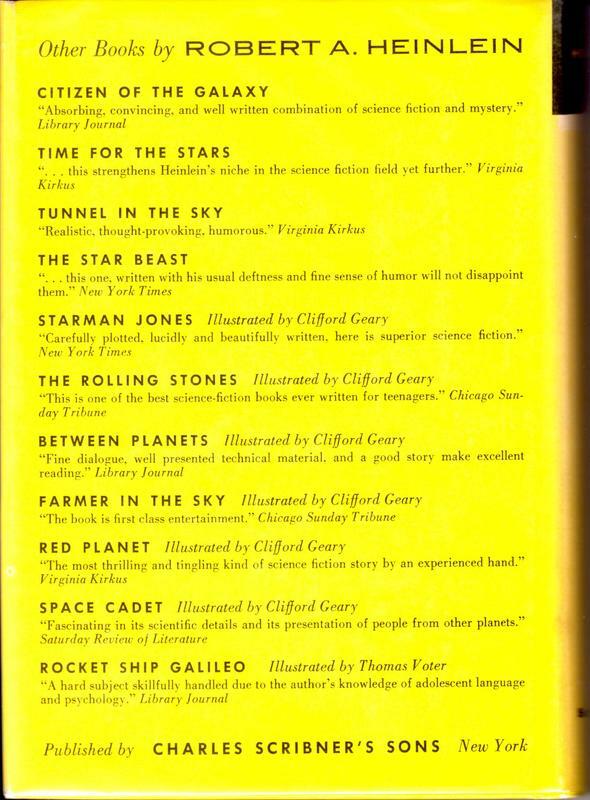 They encourage not only scientific competence but even cultural open-mindedness and self-reflection as well...and, most importantly, each tells an exciting and satisfying tale. 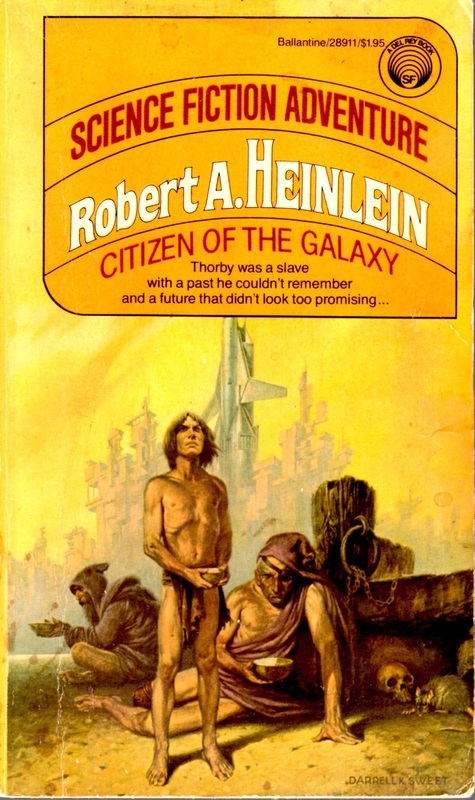 Cover art by Darrell K. Sweet—a rousing and beautiful renditioning, and as always, faithful to the text. 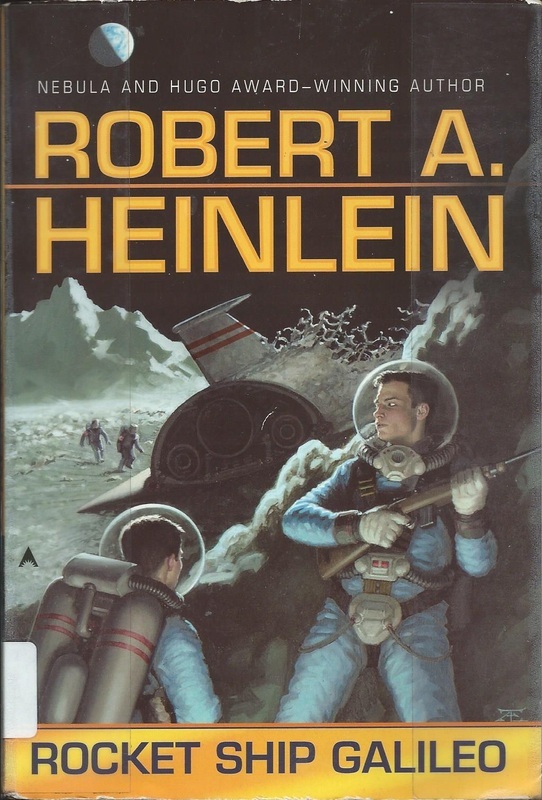 Cover art by Tristan Elwell—good facial expression, though rifle appears, incorrectly, to be the M1 carbine; for nice rendering of the correct full-caliber M1 Garand, see the Sweet illustrations above. 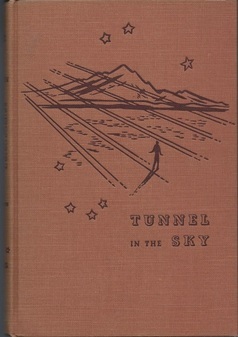 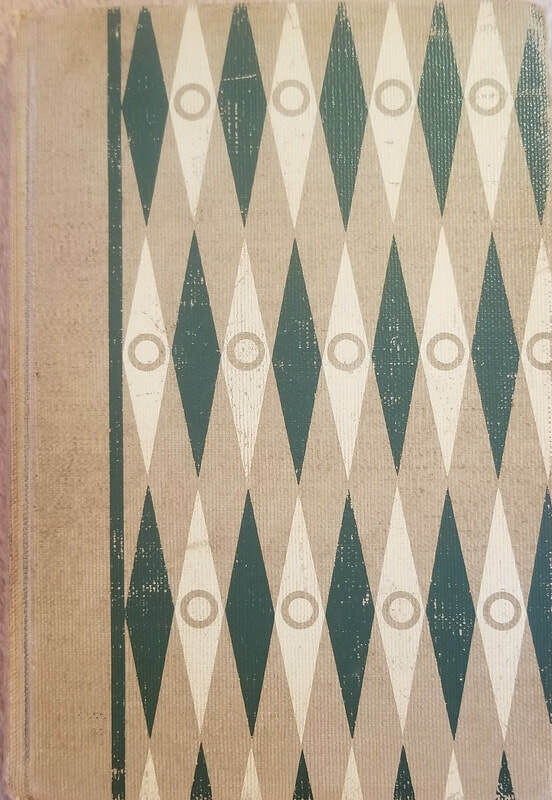 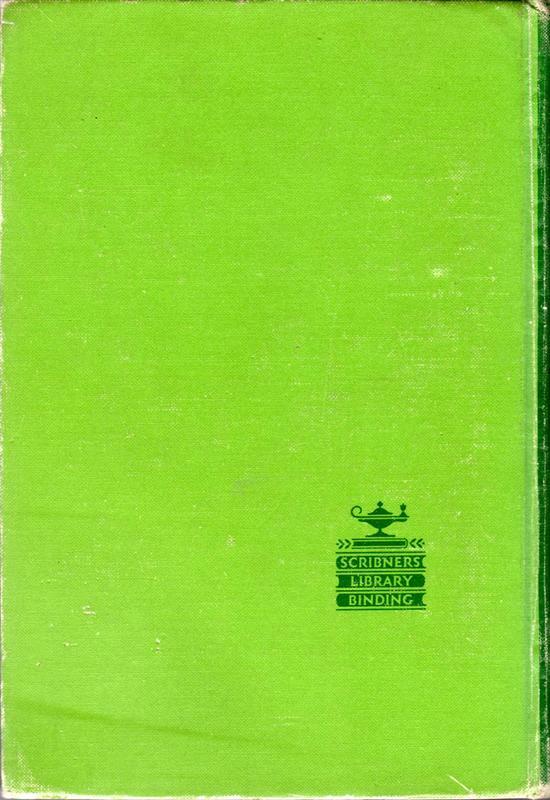 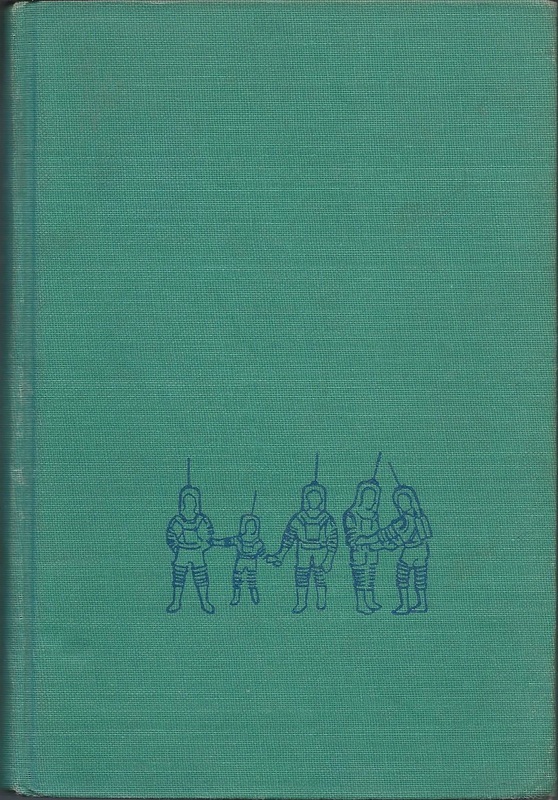 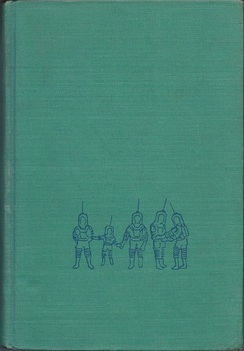 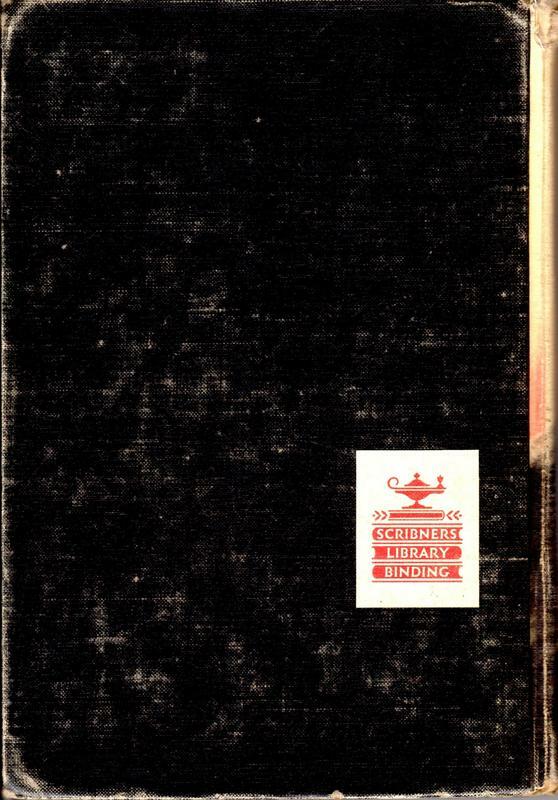 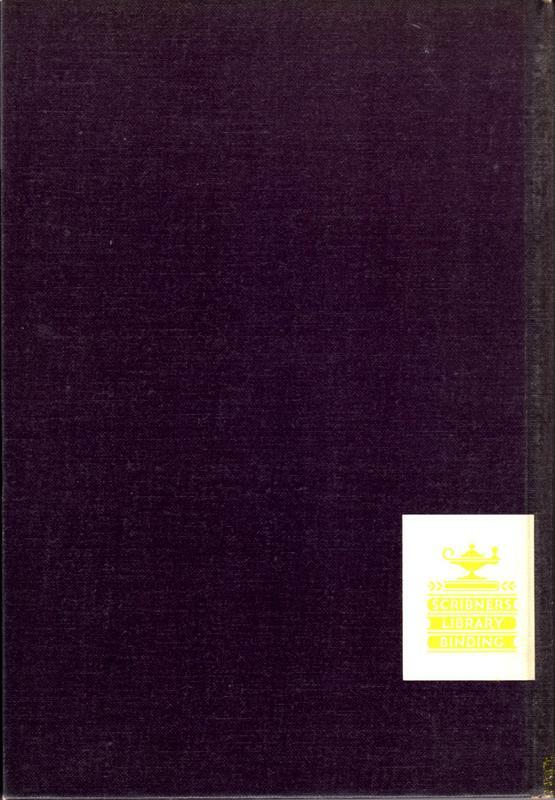 This edition has the same Clifford N. Geary interiors as the one pictured directly below. 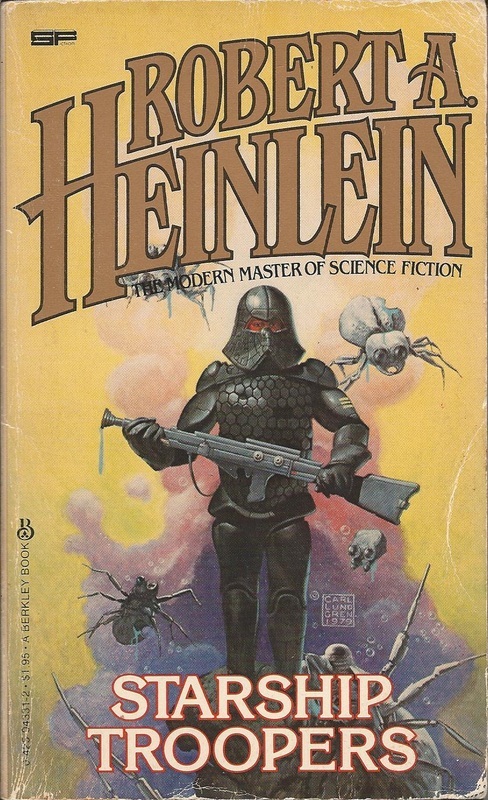 Cover art by Darrell K. Sweet. 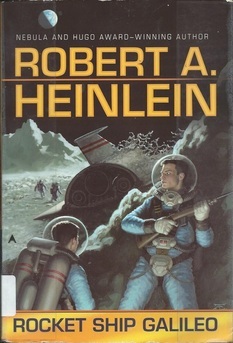 Against the strolling poses in rear, note foreground character’s posture, plus tension on the line, bringing action to the scene. 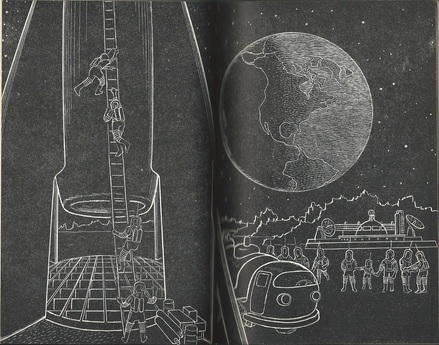 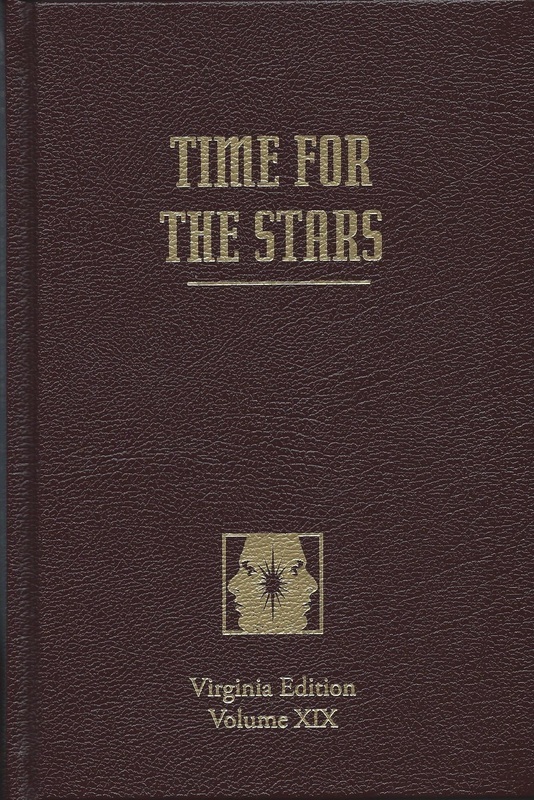 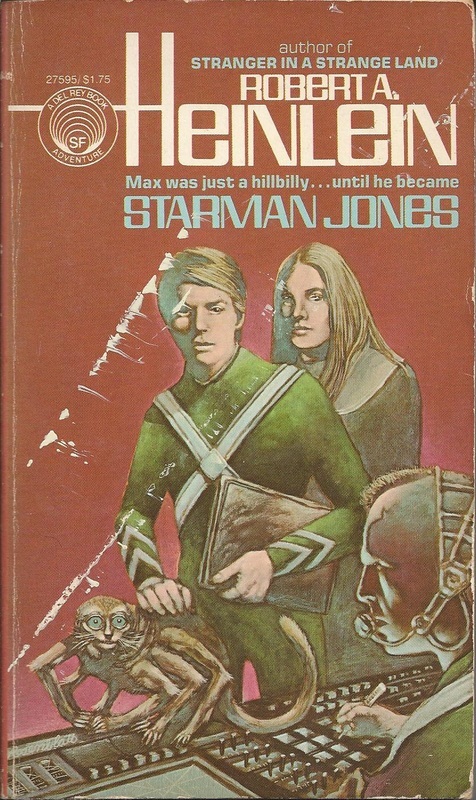 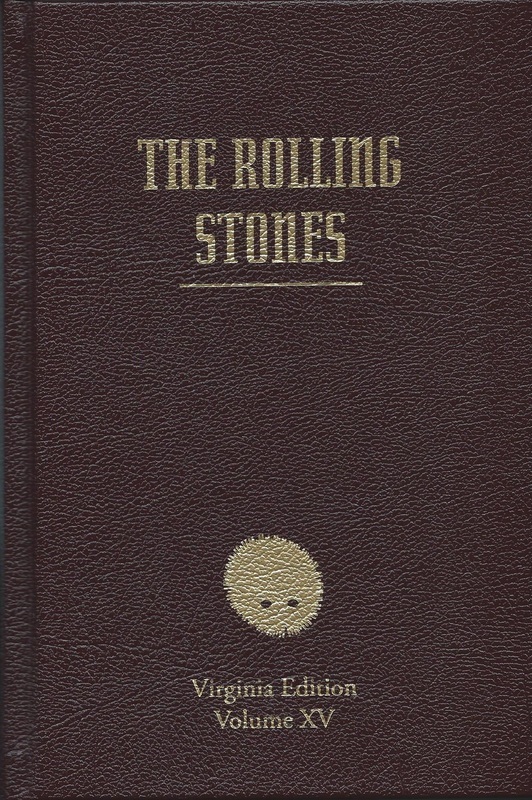 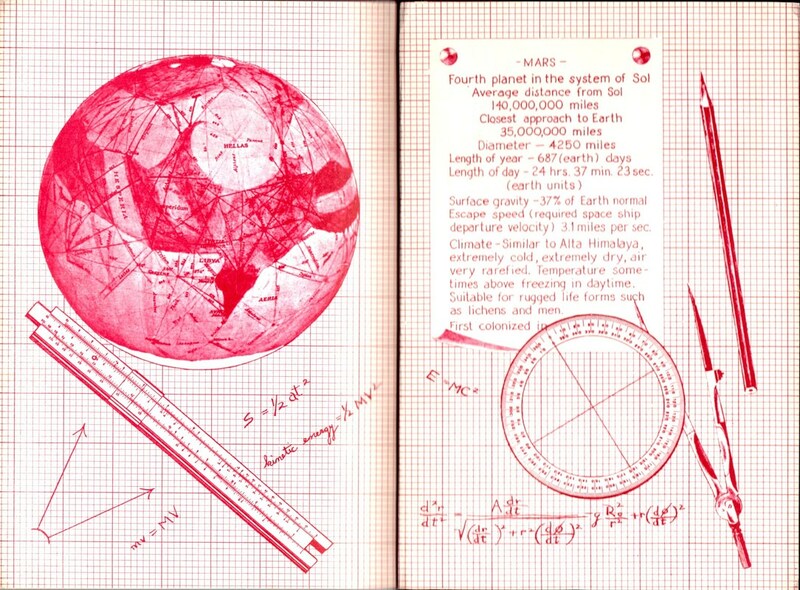 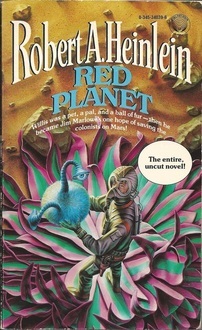 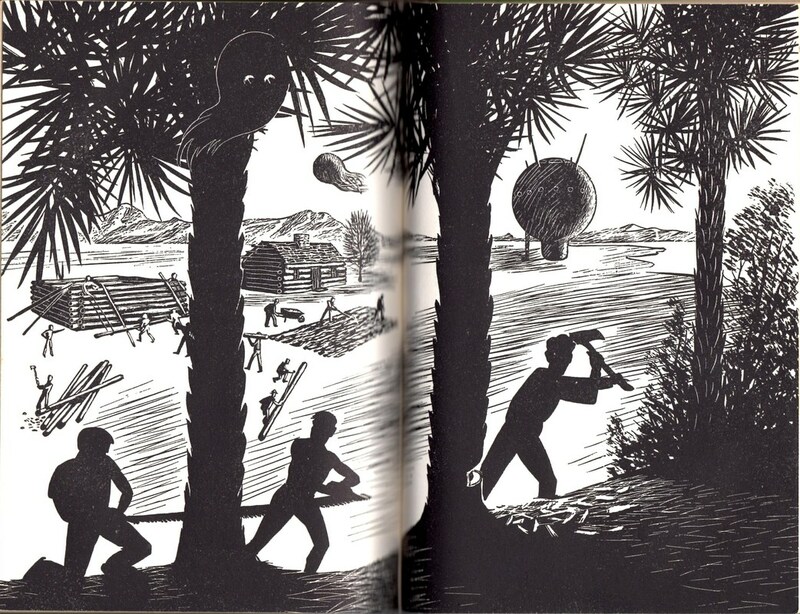 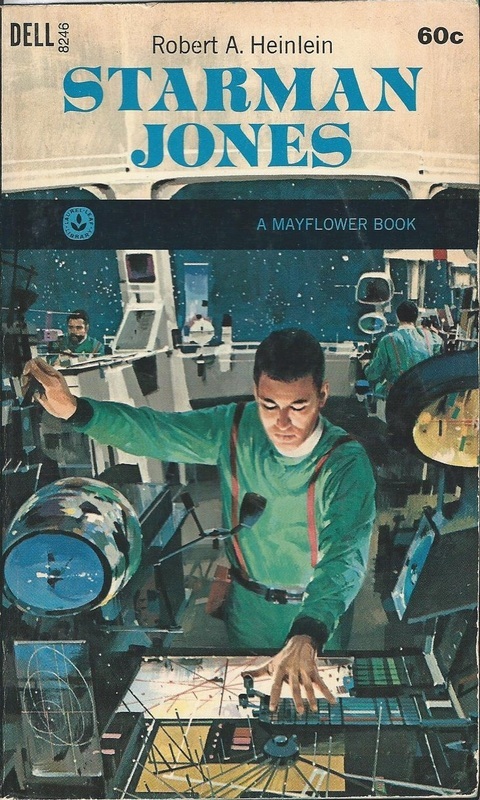 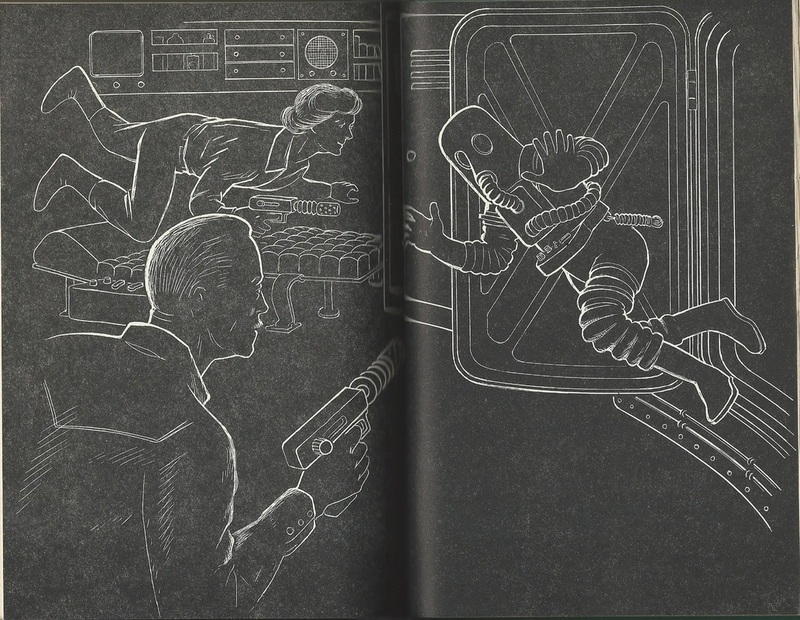 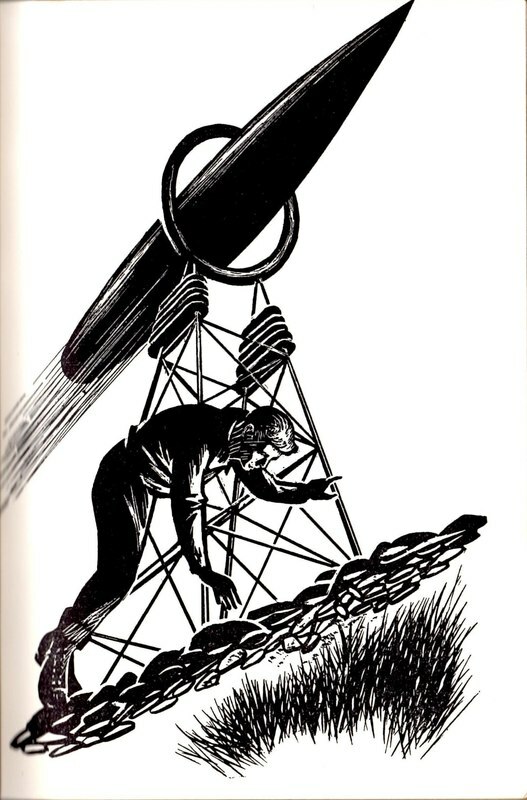 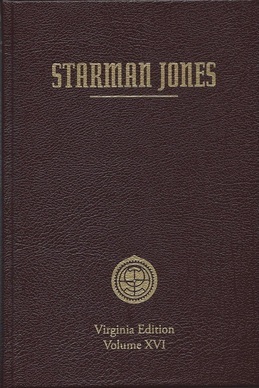 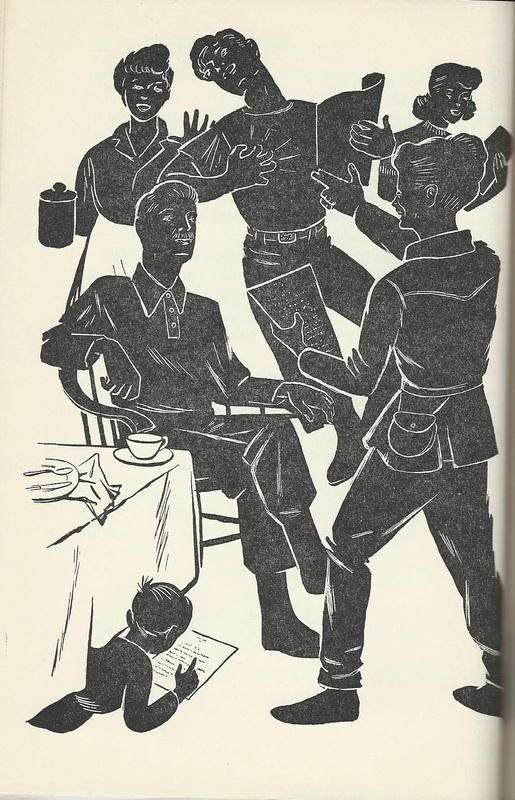 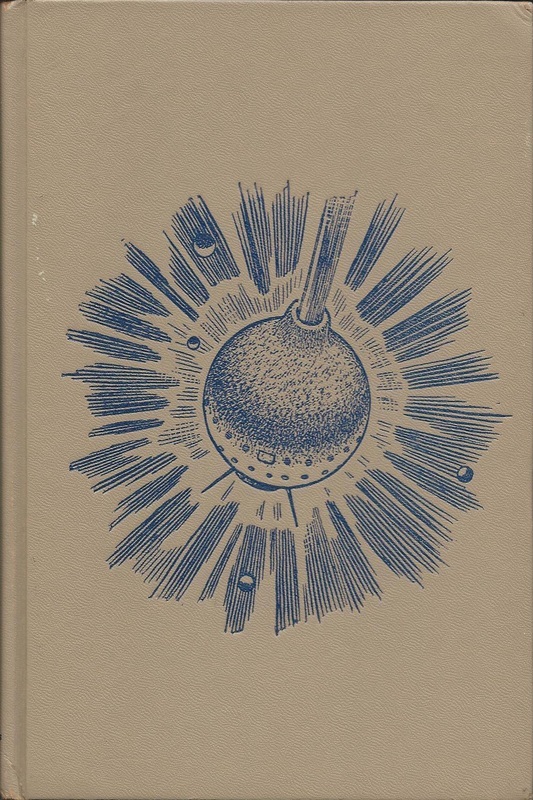 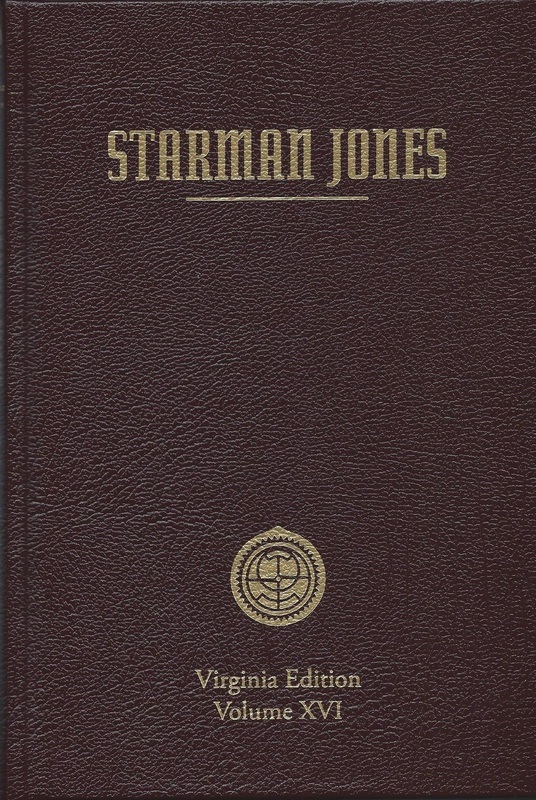 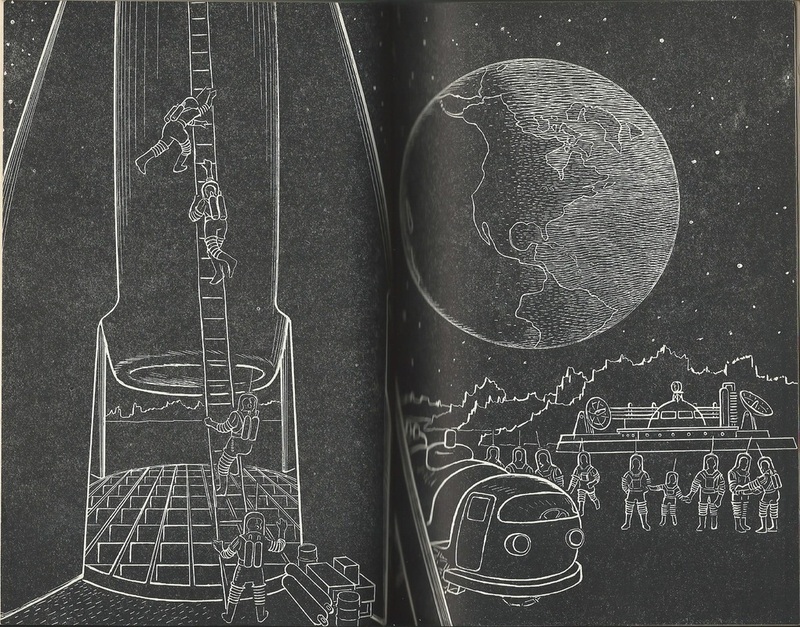 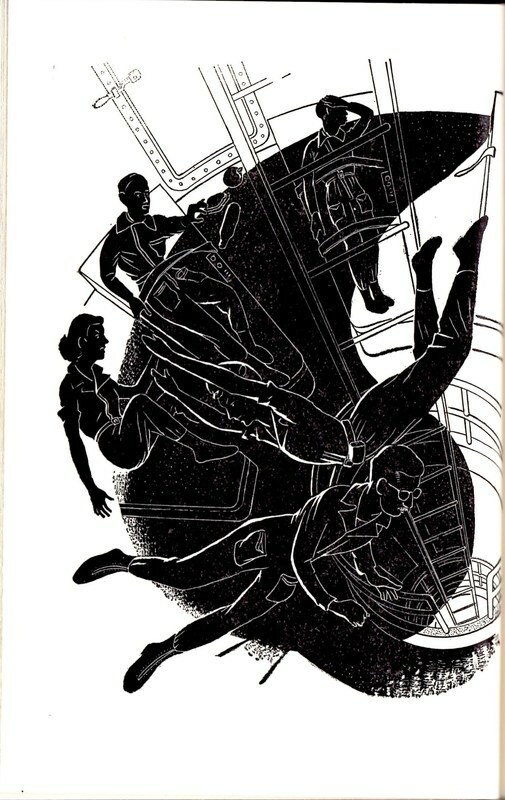 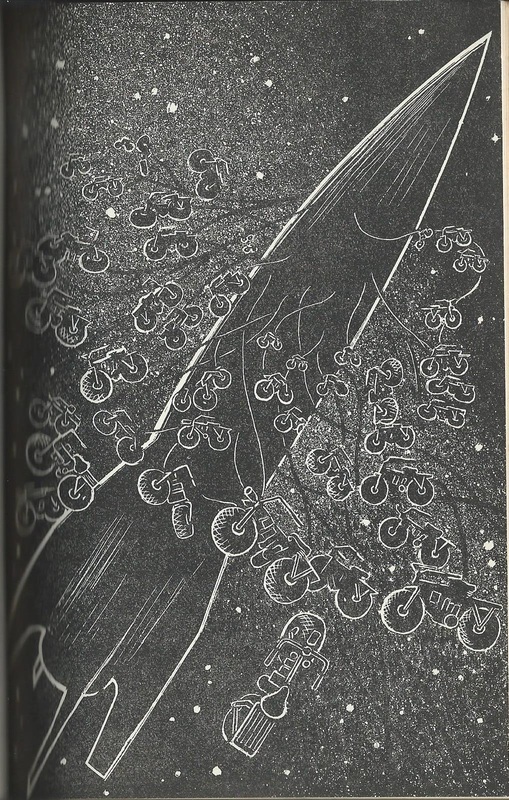 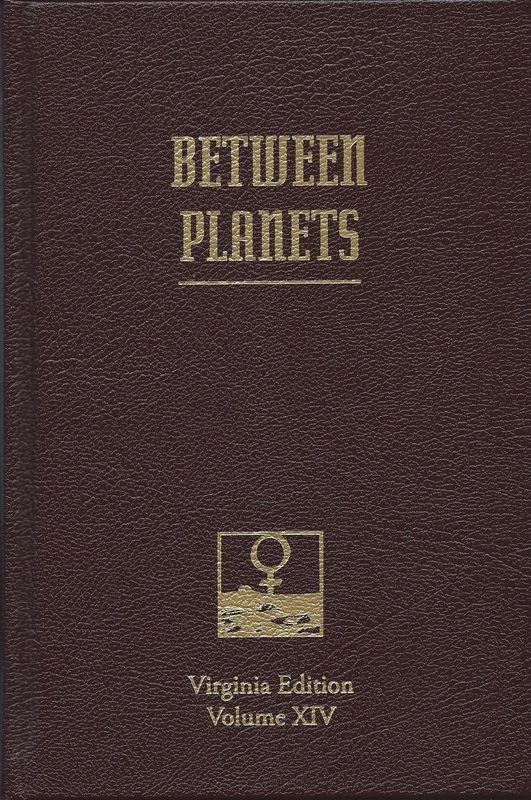 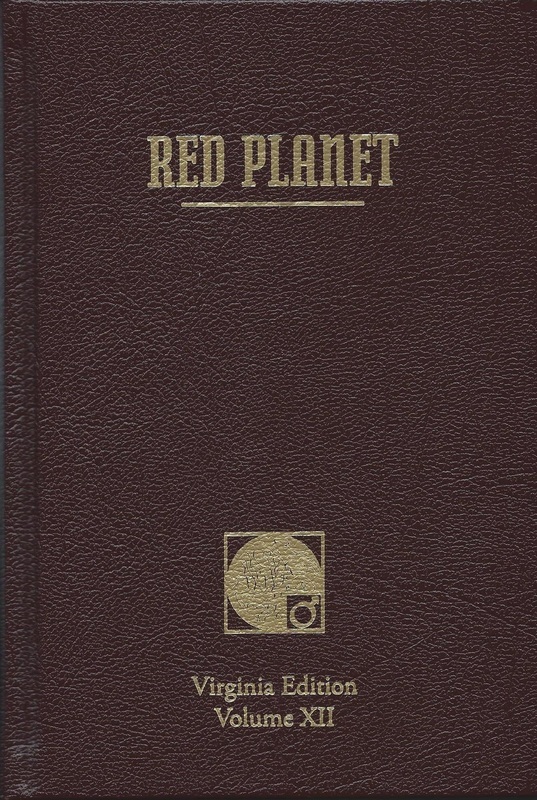 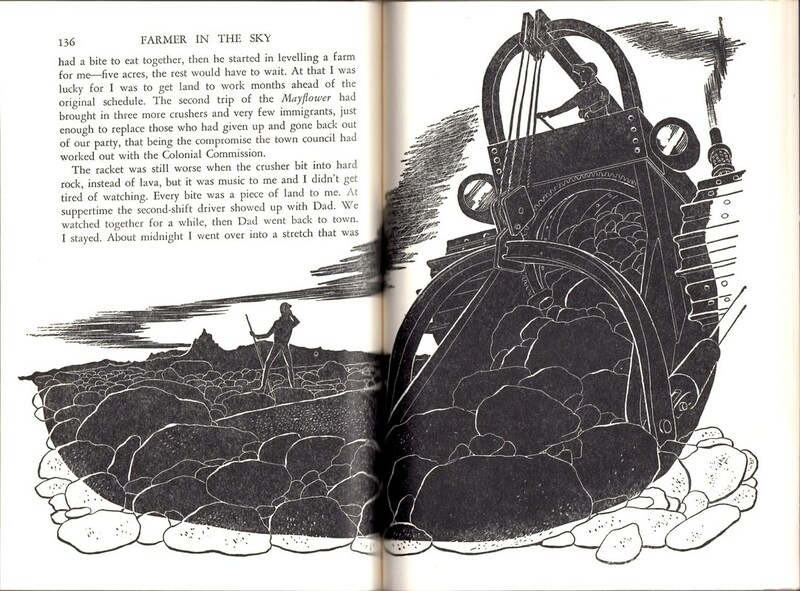 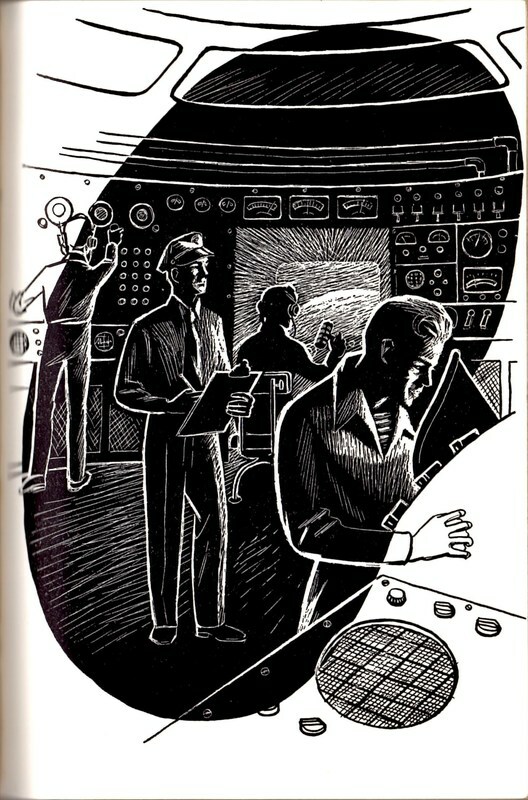 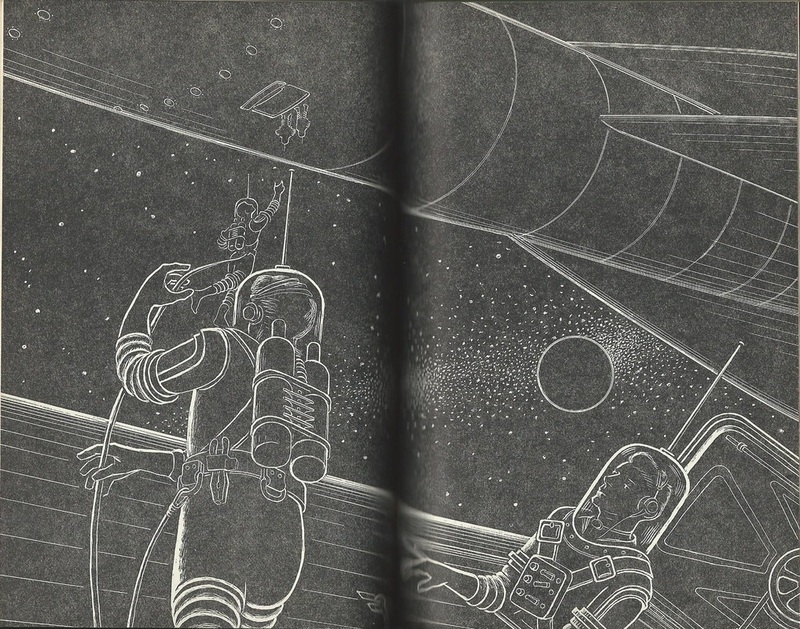 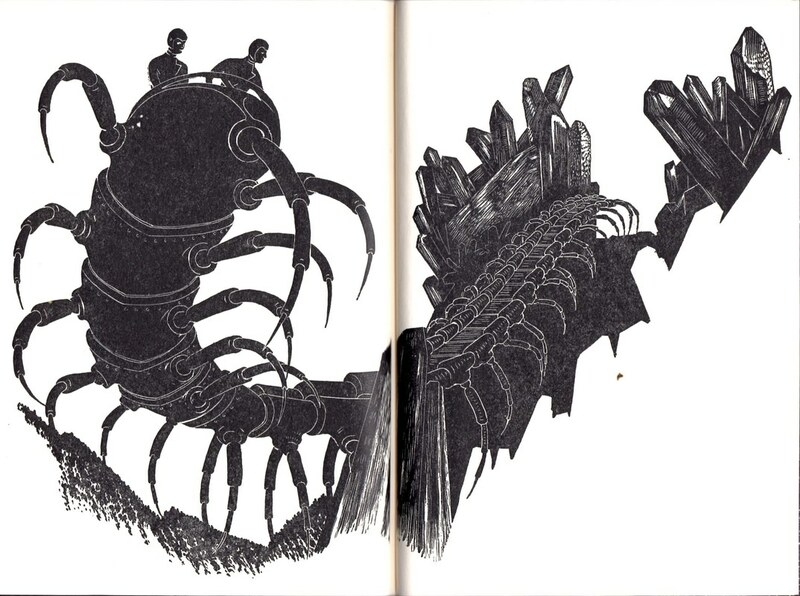 Inside cover art by Clifford Geary. 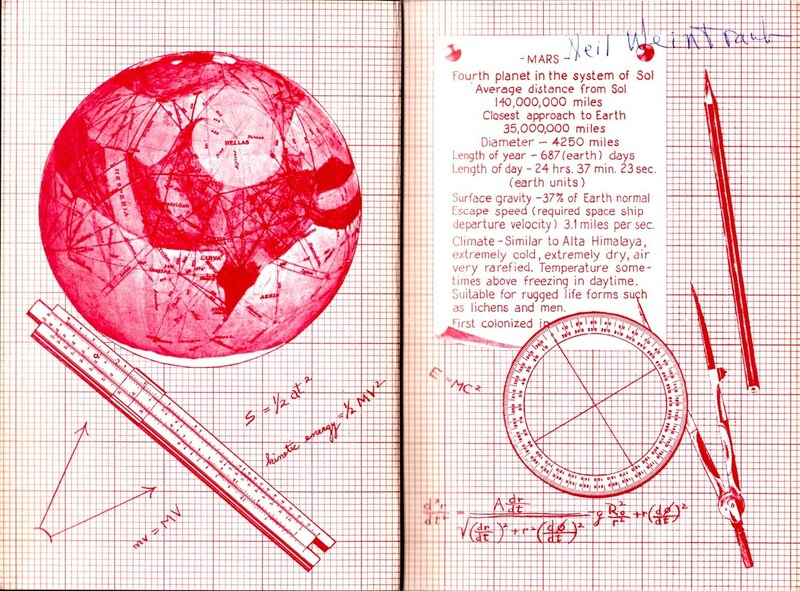 Note occlusion of “First colonized in” by protractor. 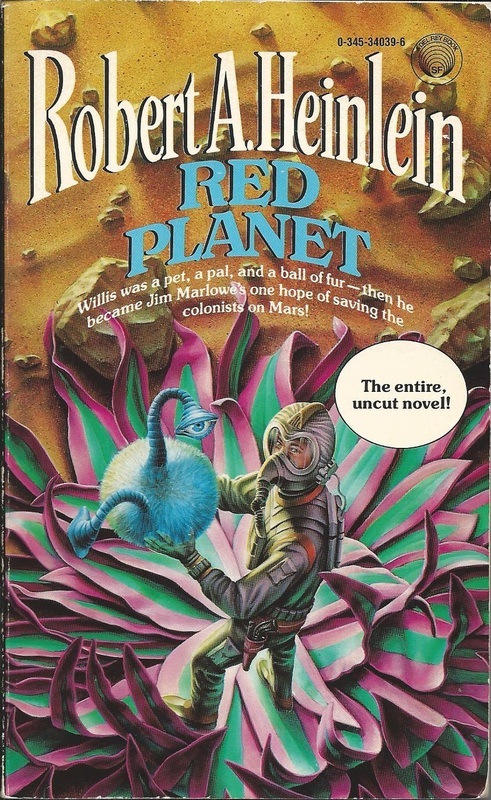 Cover art by Darrell K. Sweet—good character definition, but I am always struck by the colors and details of the canal plants as well. 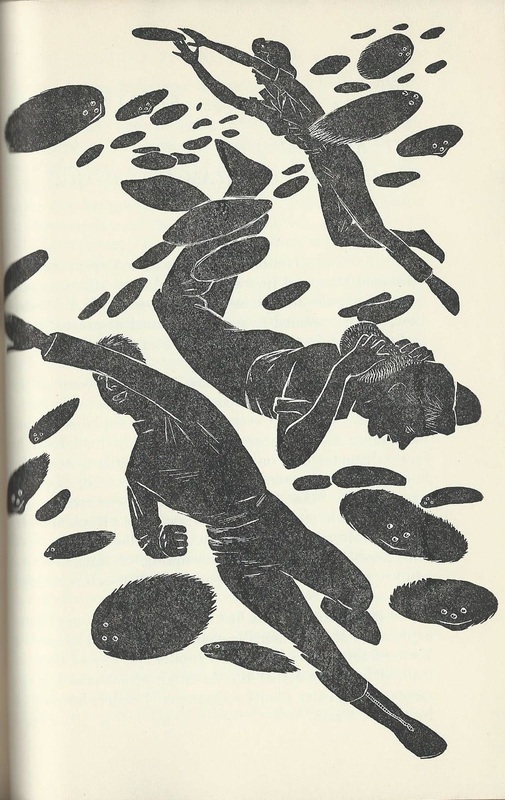 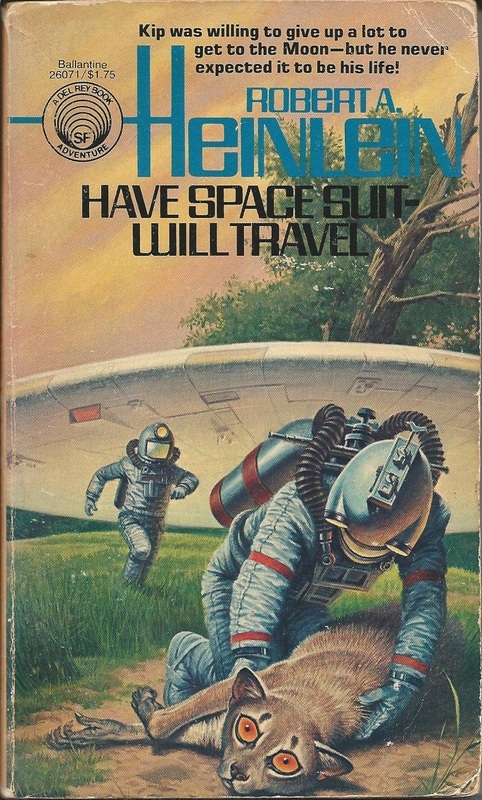 Under jacket art by Clifford N. Geary. 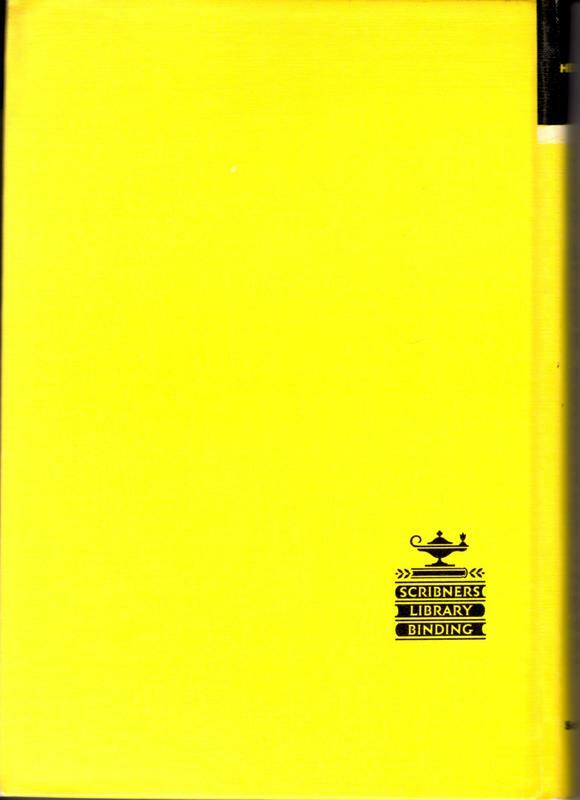 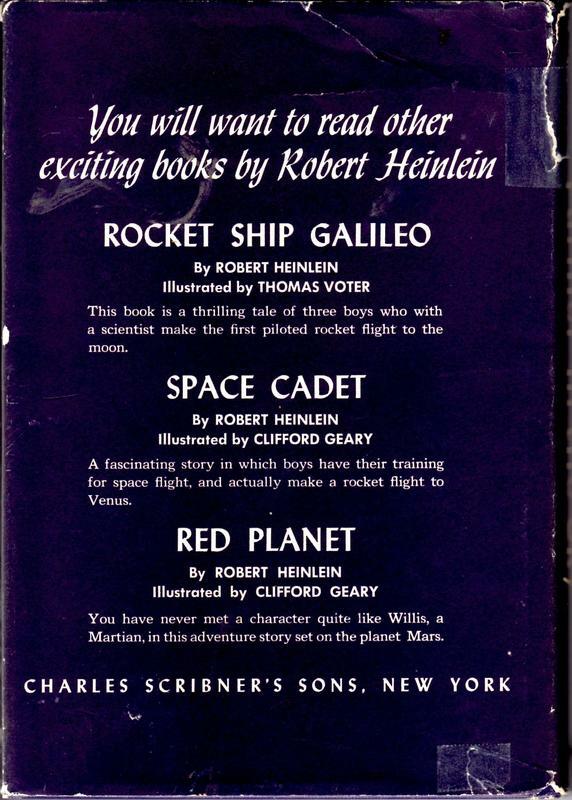 Note how the color has stood up better than on the exposed dust jacket. 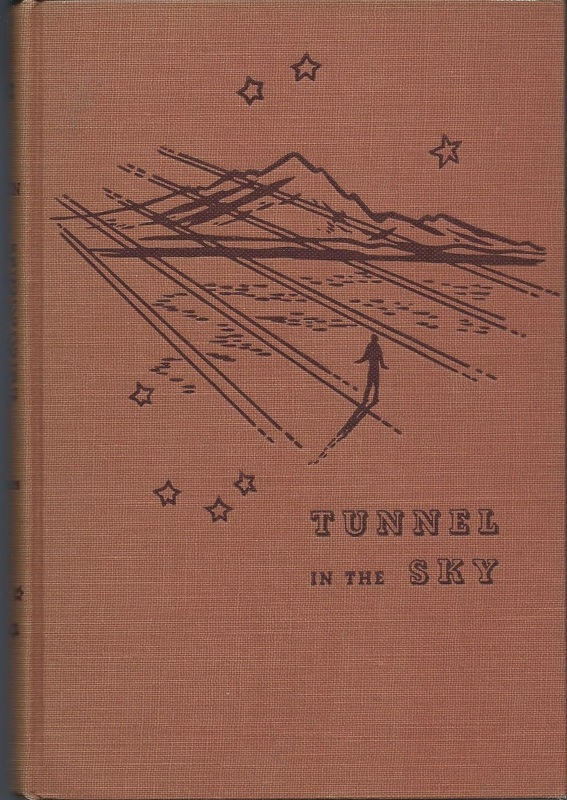 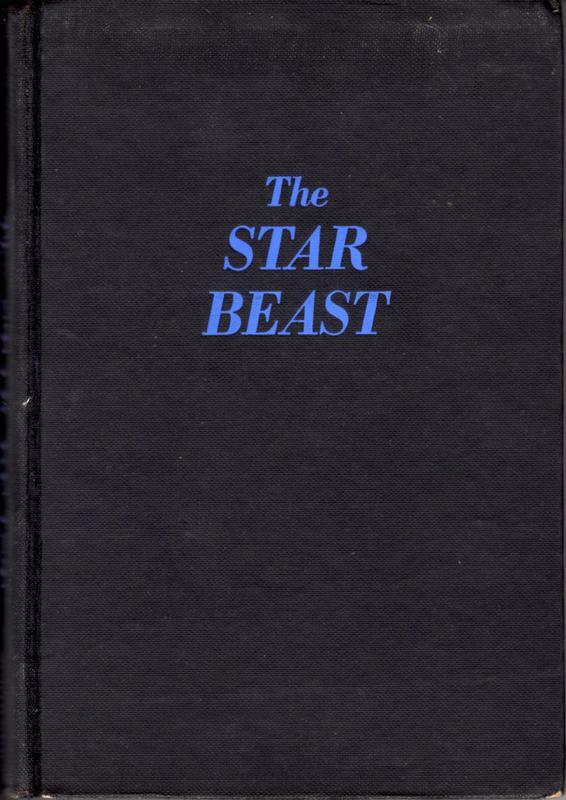 This one lacks a dust jacket but has the same Clifford N. Geary interiors as the softcover below. 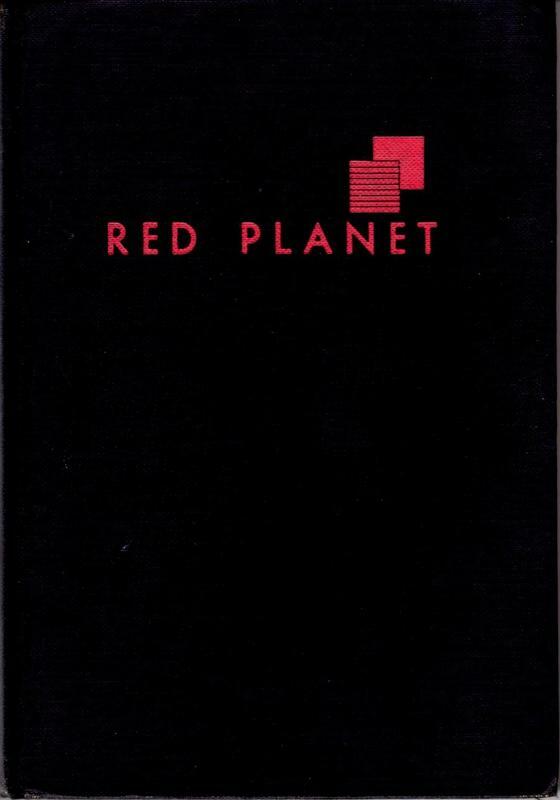 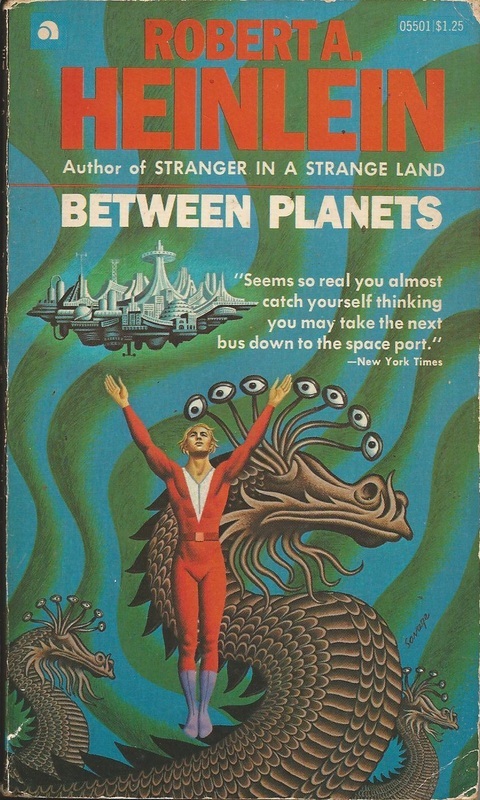 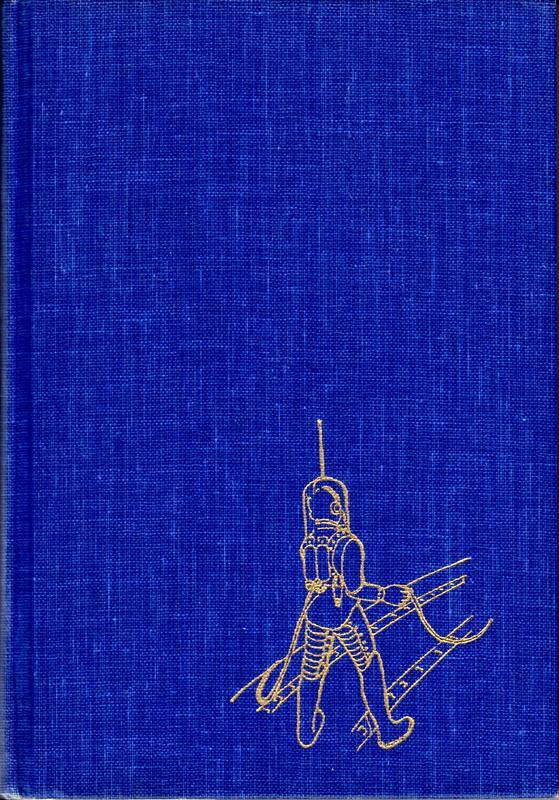 Back cover art by Clifford N. Geary. 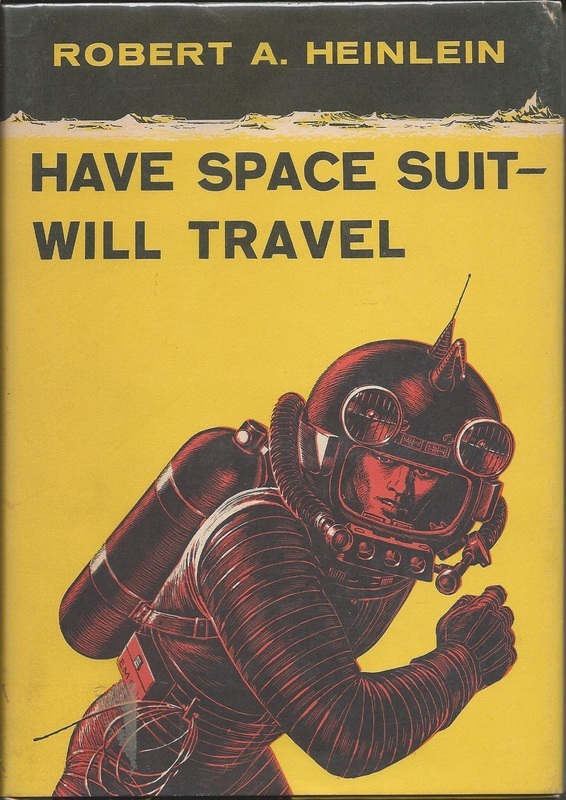 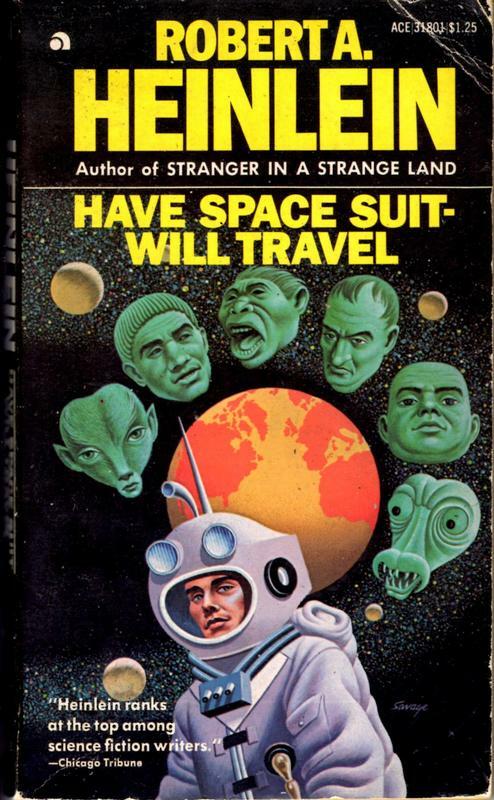 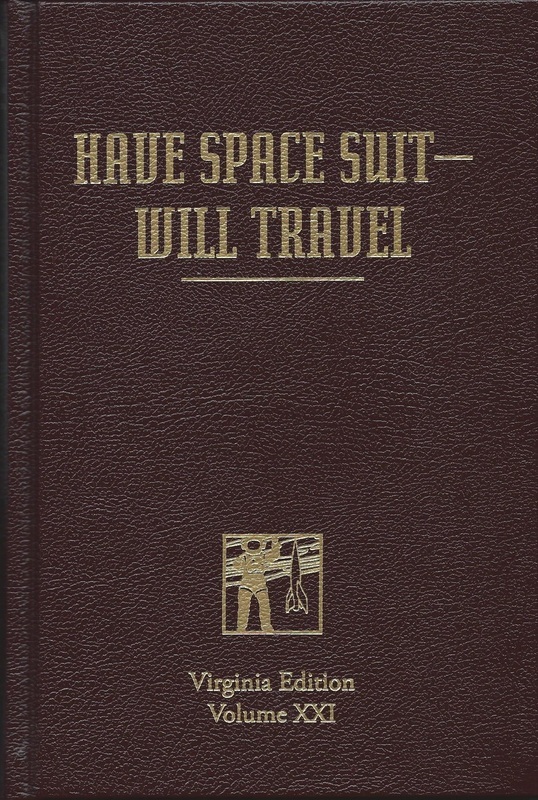 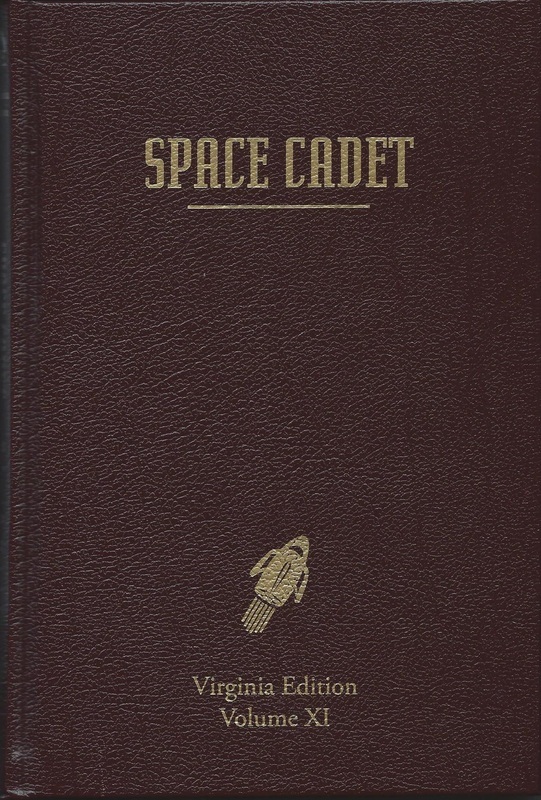 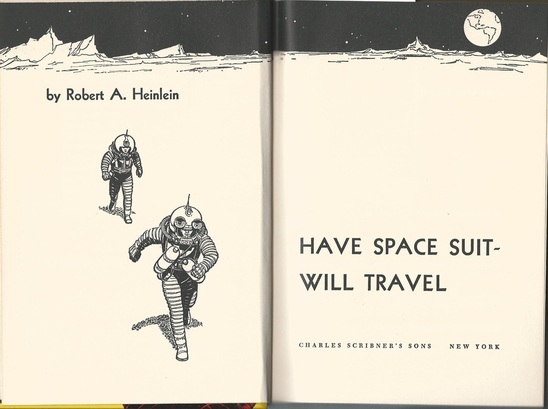 The listing of Have Space Suit—Will Travel shows this printing to be 1958 or later. 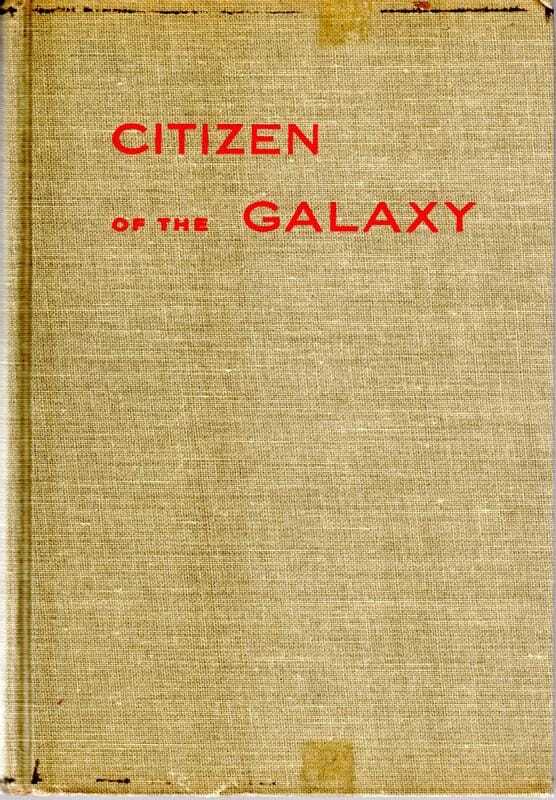 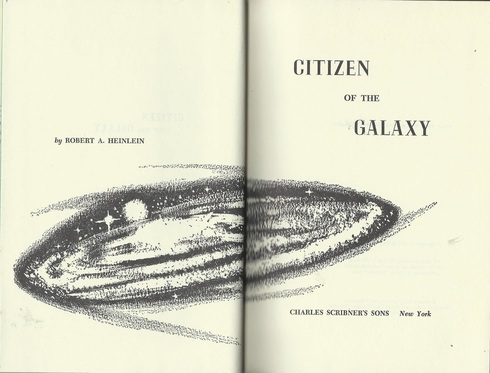 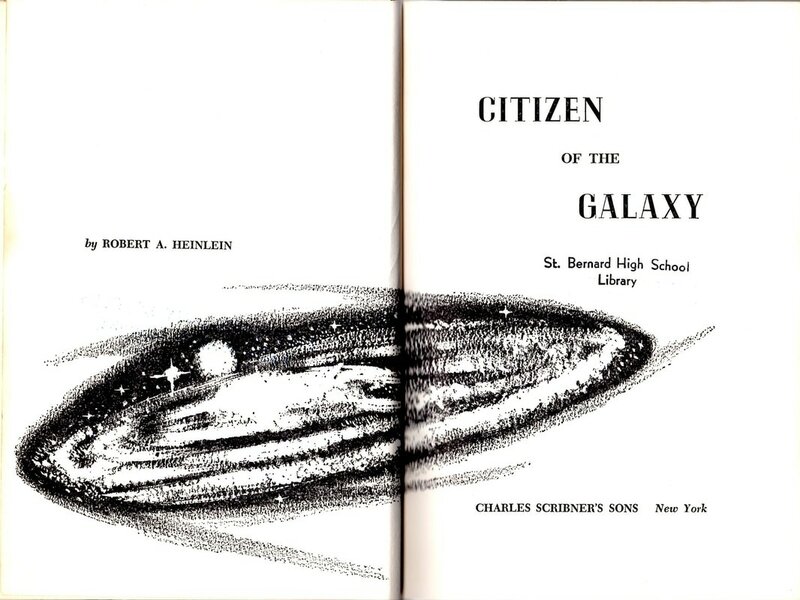 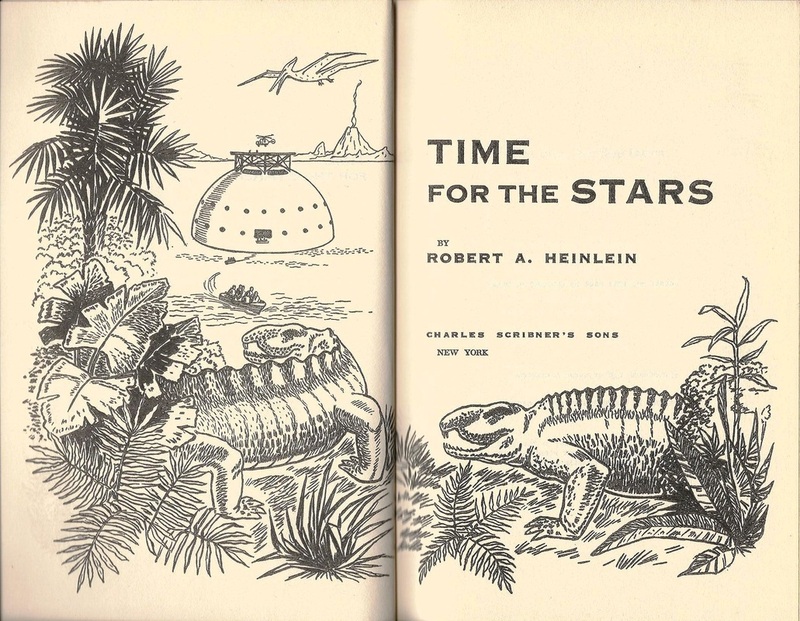 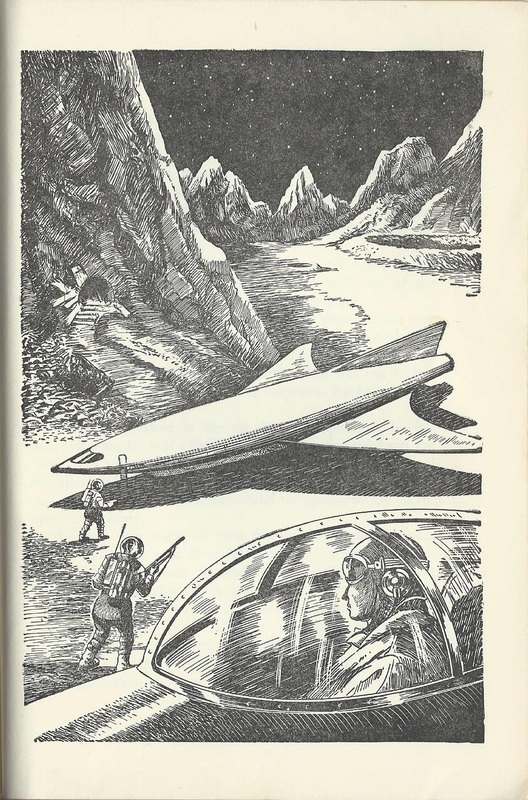 See my “Serialized Novels” page for Freas covers and Van Dongen interiors for Citizen of the Galaxy when it was published in Astounding Science Fiction between September and December 1957. 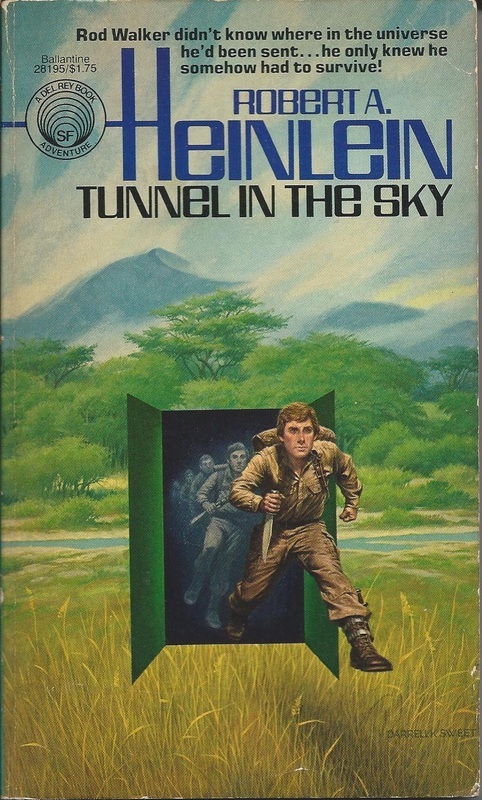 Cover art by Ed Emshwiller—the only artist who can match, even surpass, Darrell K. Sweet for scrupulous attention to the text. 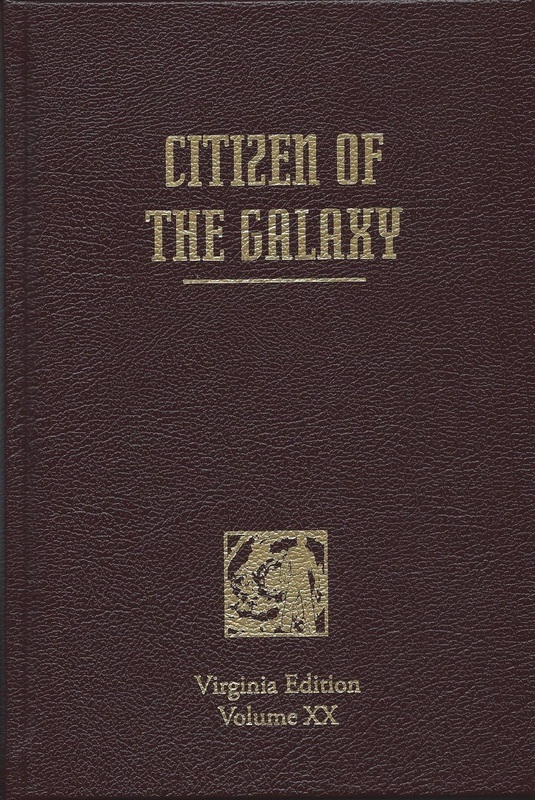 According to the receipt, I bought this in July 1997. 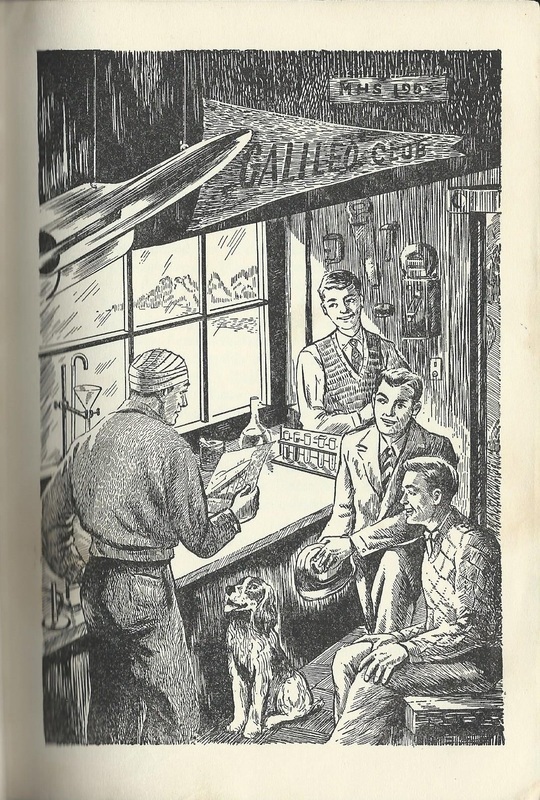 I believe the shop was in Marinette, Wisconsin. 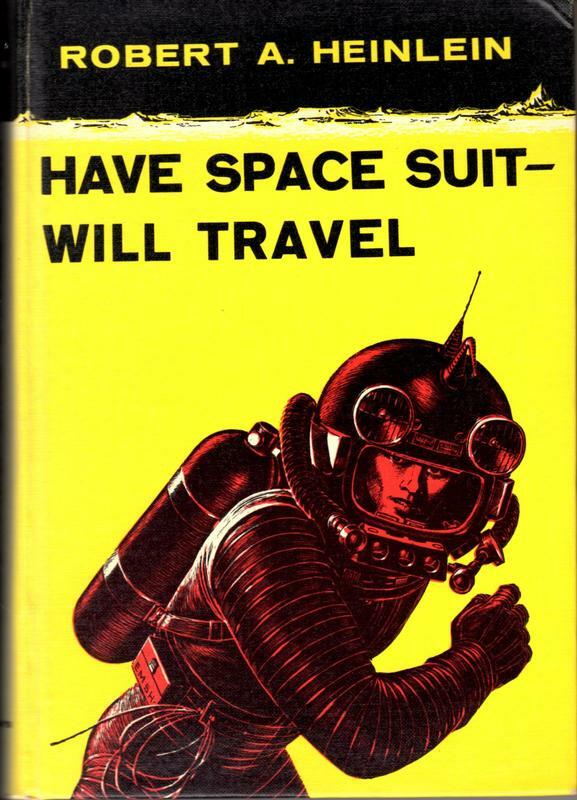 If you like this one, remember also to check out the gorgeous Emsh covers for Have Space Suit—Will Travel on my “Serialized Novels” page. 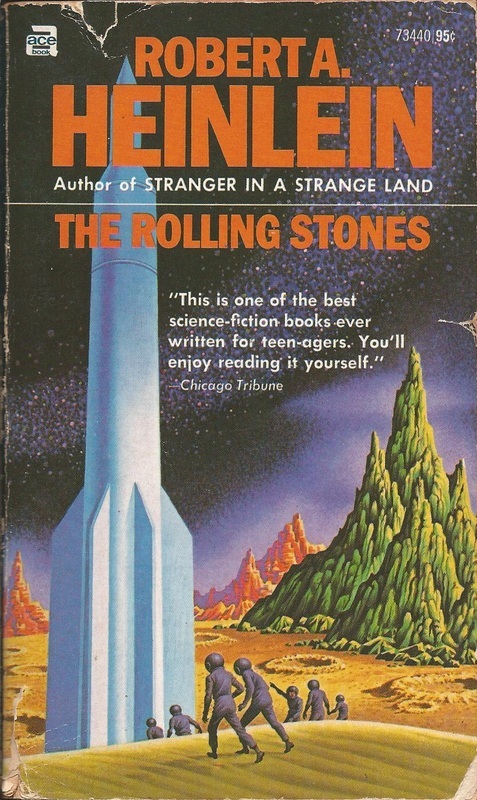 It is particularly recommended for fans of Plutonian volcanoes and smash-’em-ups in alien spaceships. 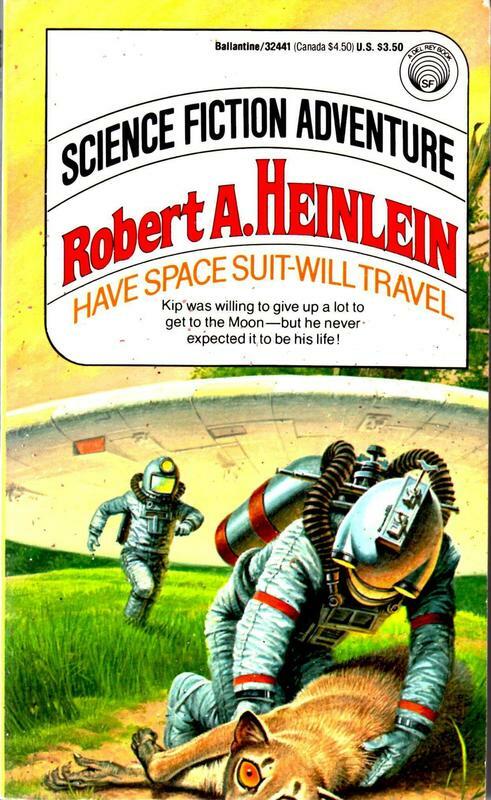 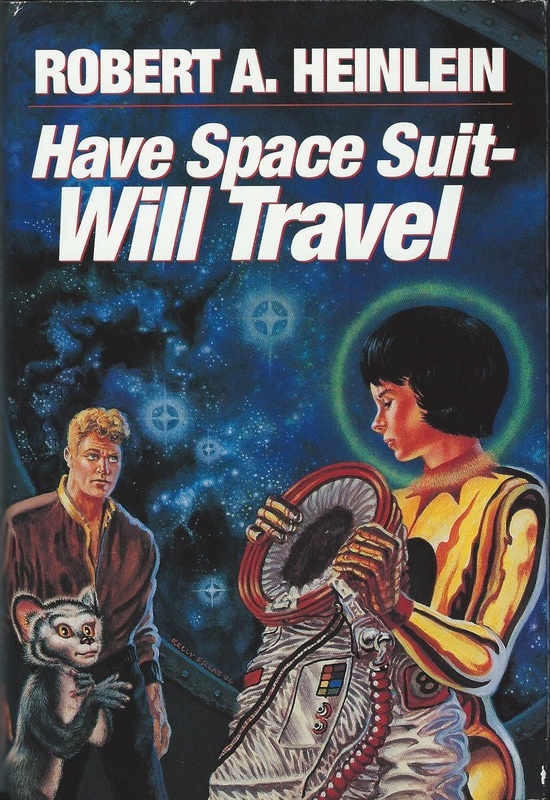 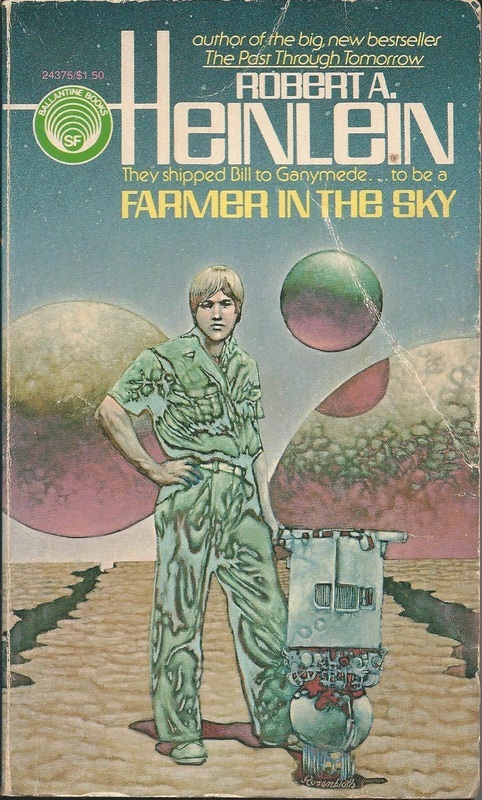 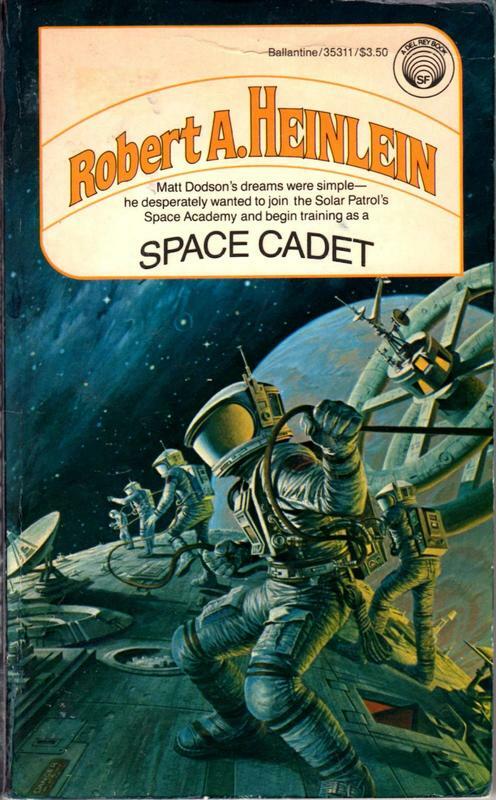 Cover art by Darrell K. Sweet—as always, meticulous attention to details of the text, even down to the number of headlights and antennas on each spacesuit. 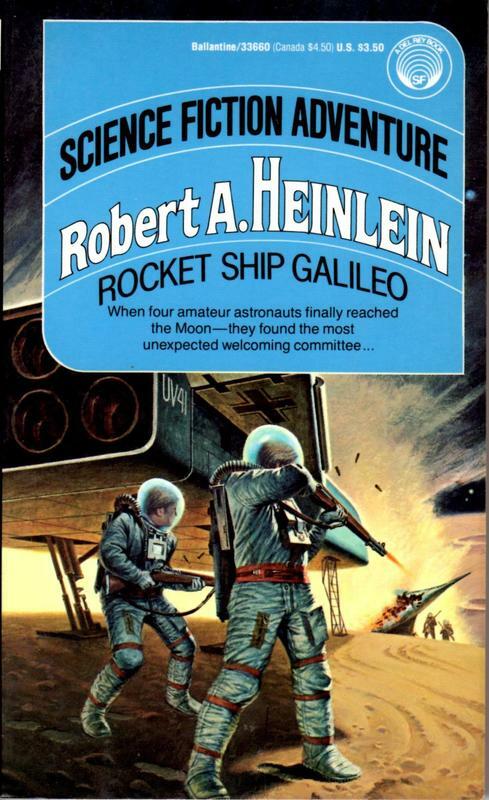 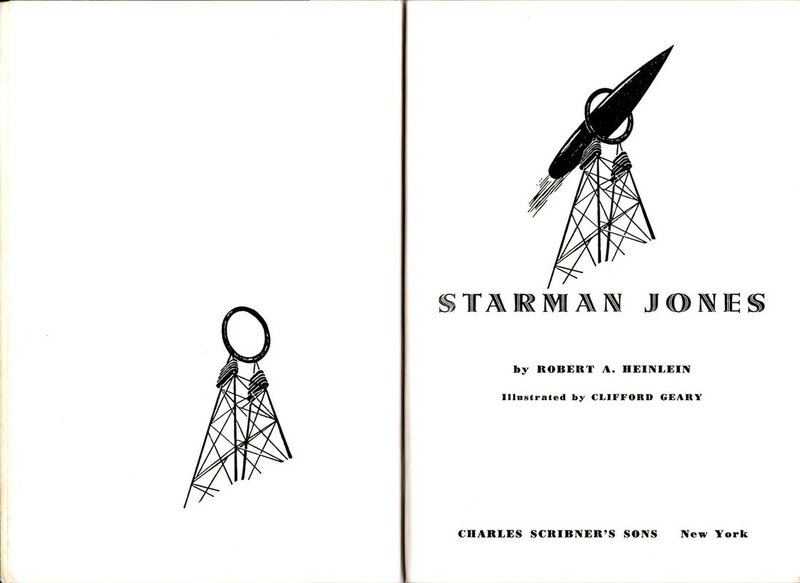 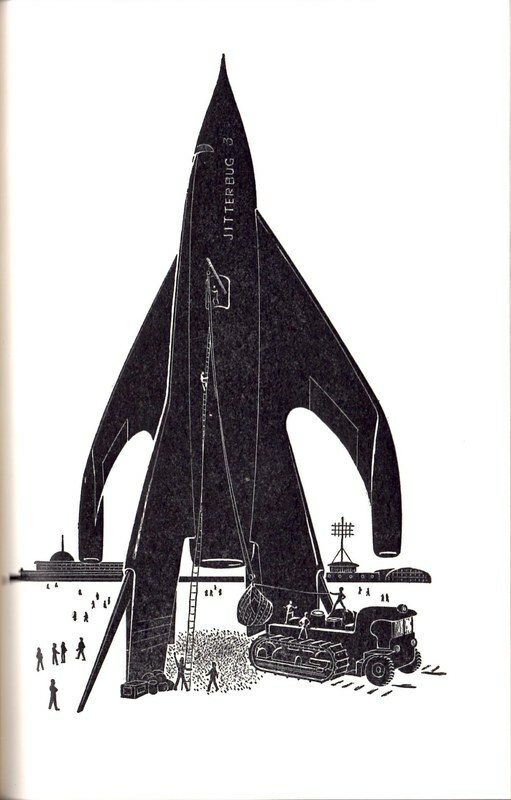 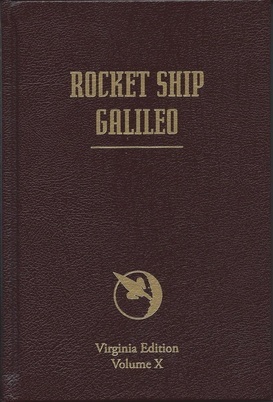 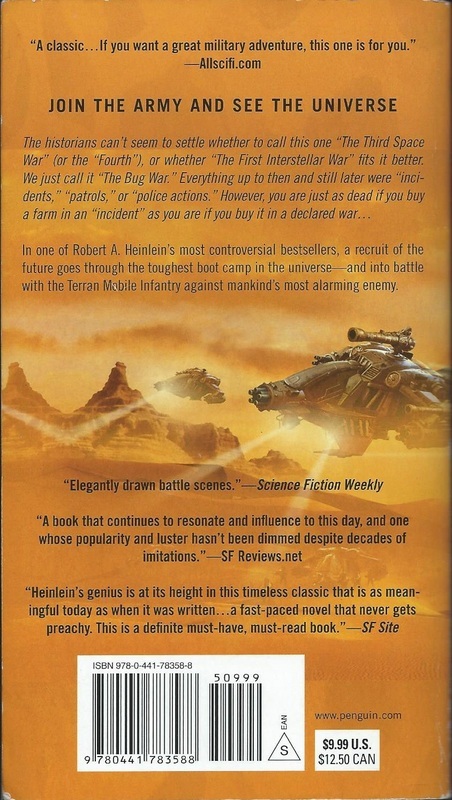 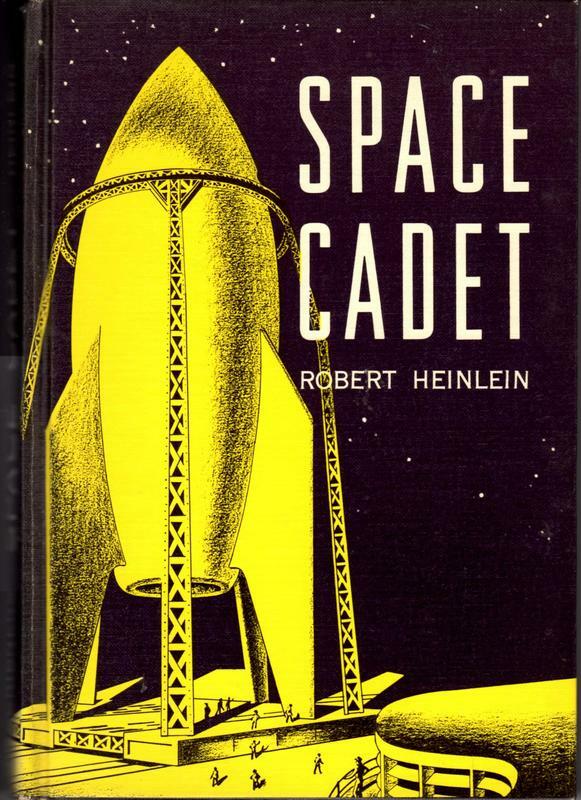 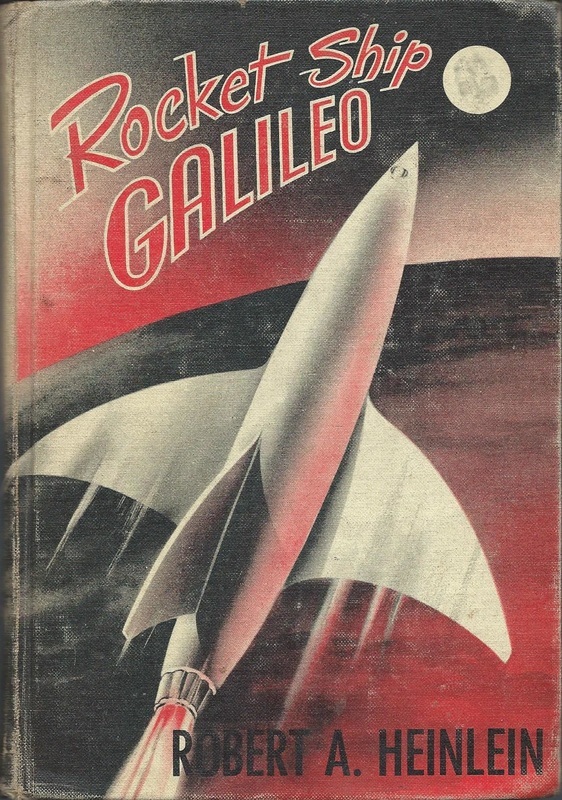 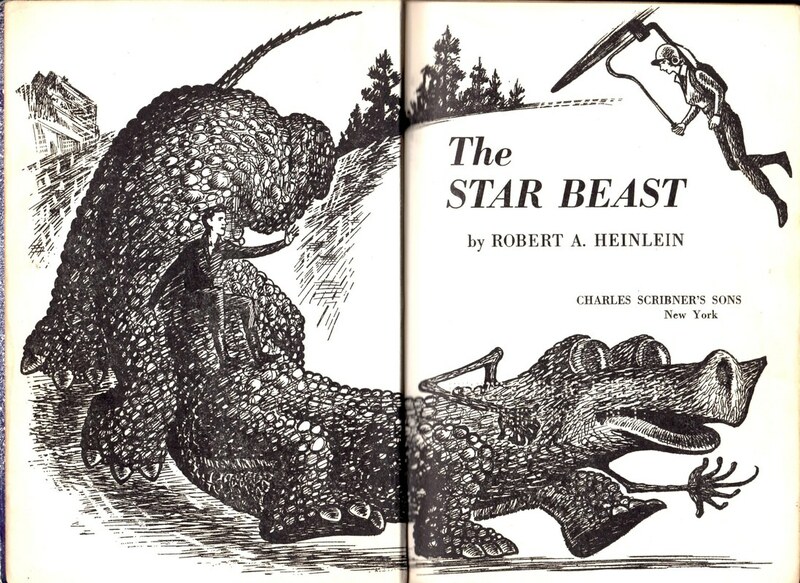 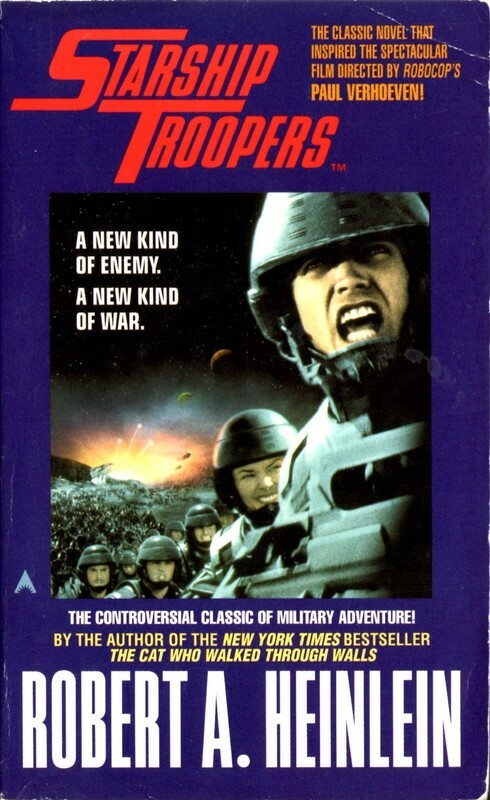 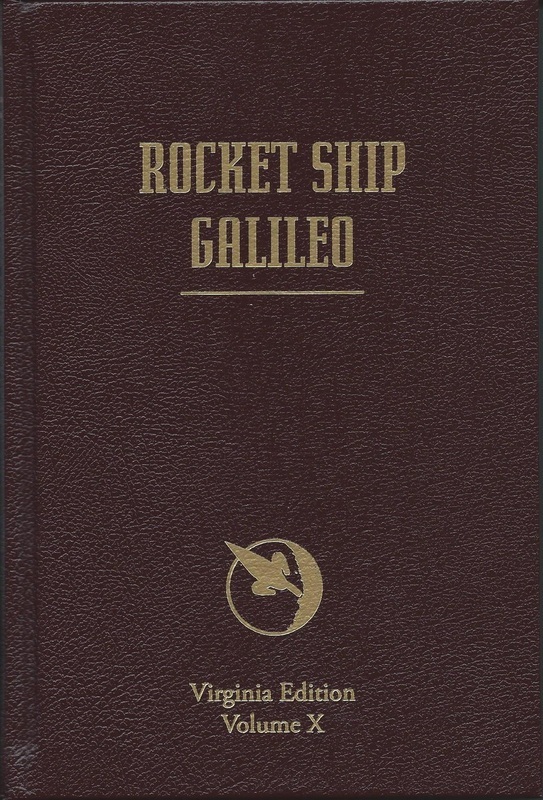 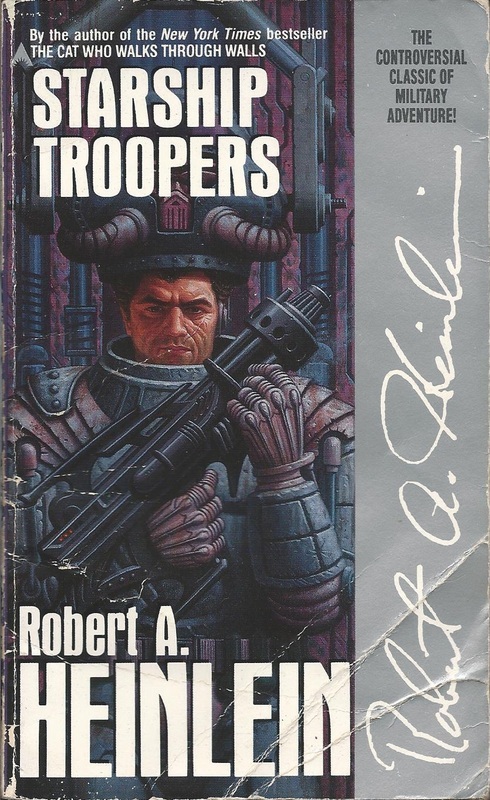 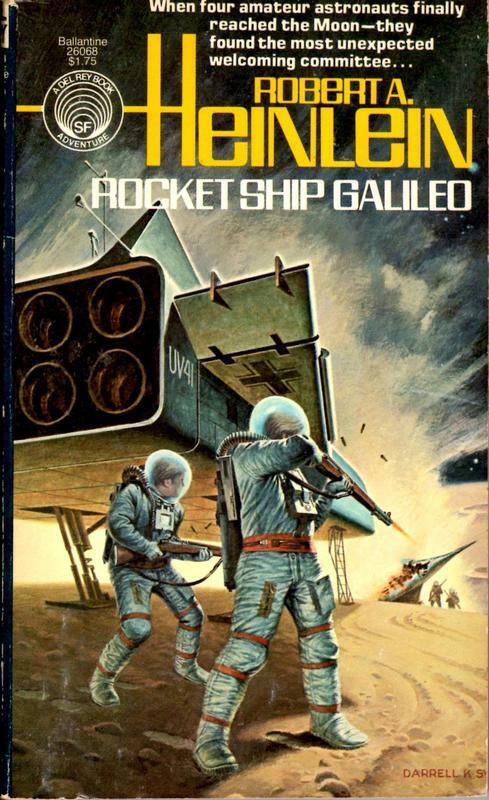 Starship Troopers of course was written to be part of the Scribner’s “juvenile” series begun with Rocket Ship Galileo back in 1947. 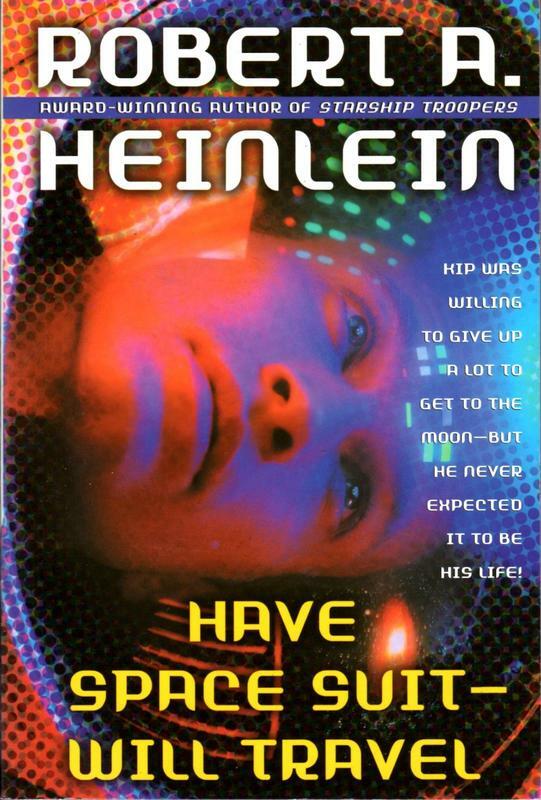 Like his earlier juvies, after all, it deals with a young male protagonist entering the adult world of conflict, decisions, and responsibilities. 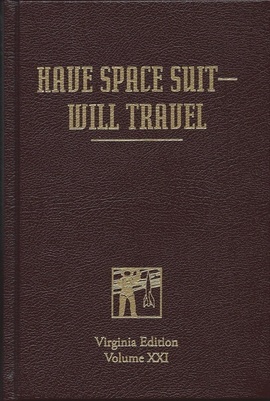 Aside from the dangers of aliens and dimensional wormholes and the deadly flora and fauna of other worlds, previous works such as Rocket Ship Galileo, Red Planet, Between Planets, and Citizen of the Galaxy also already portrayed war or other armed conflict between humans, and Have Space Suit--Will Travel even contains a very pointed aside on the desirability of, essentially, a preemptive death penalty for rapists and murderers. 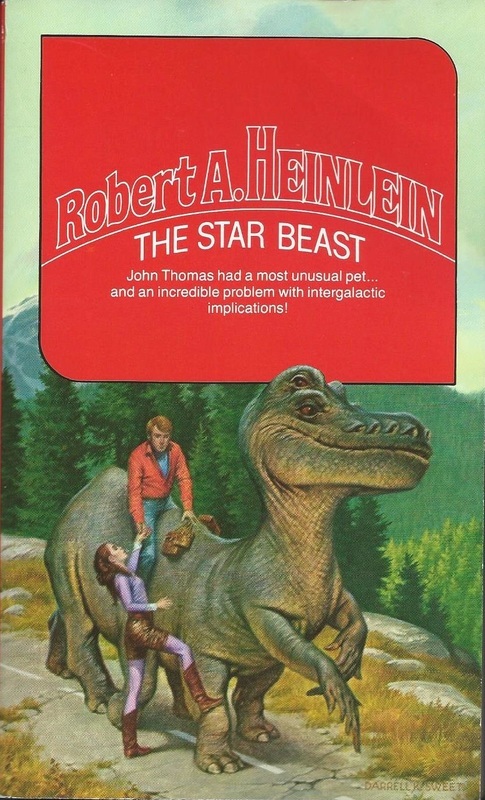 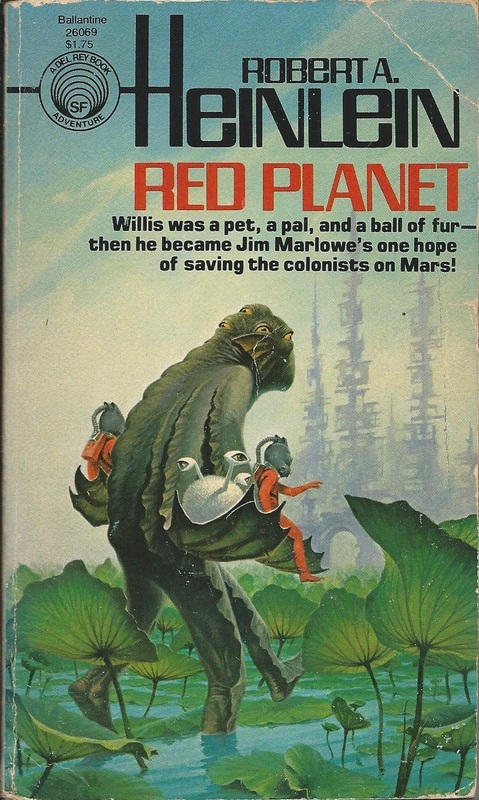 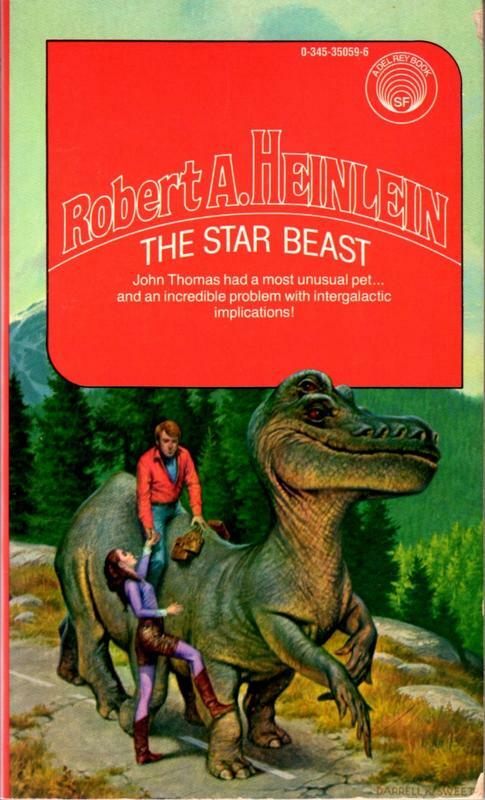 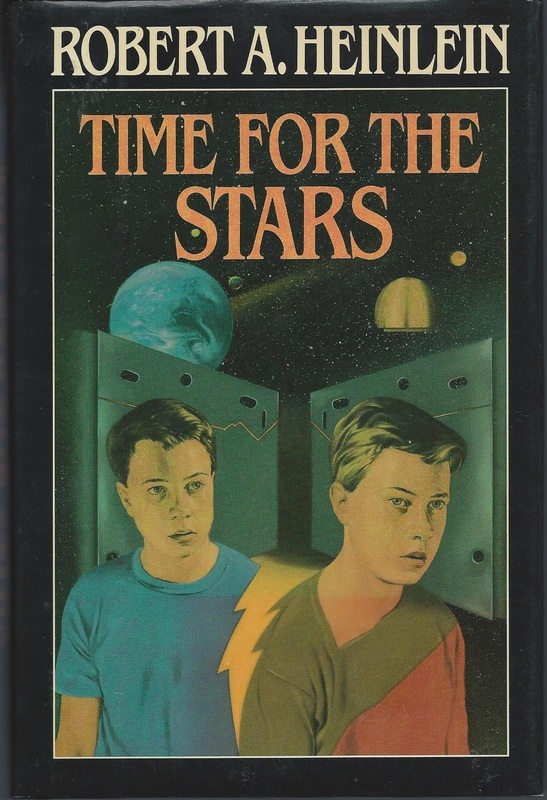 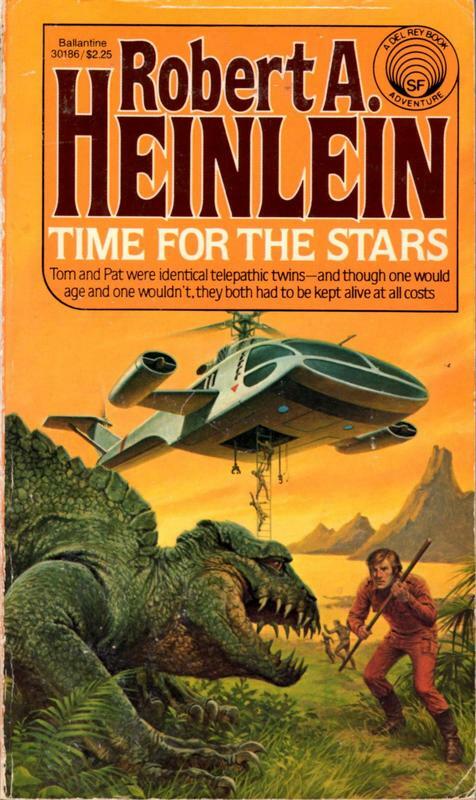 Heinlein’s editors considered this one too “adult,” however, and turned the piece down, so he published it with Putnam’s instead... 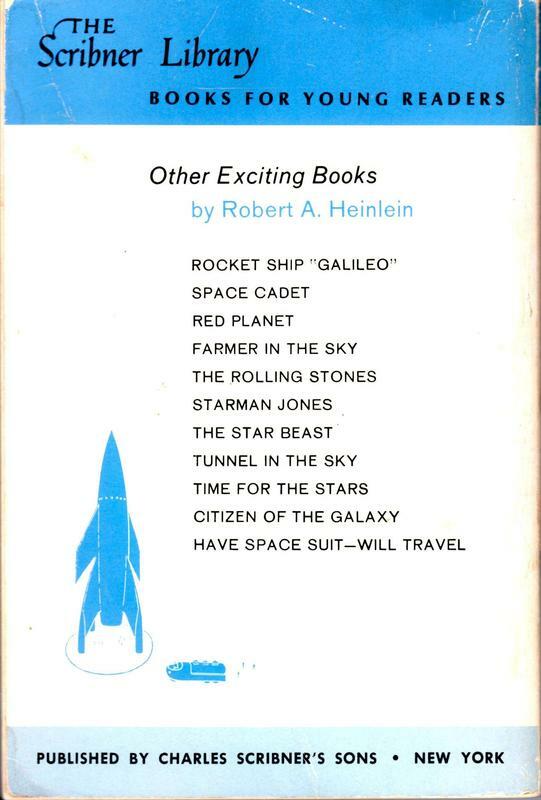 Following the original intent, though, we list it in this section. 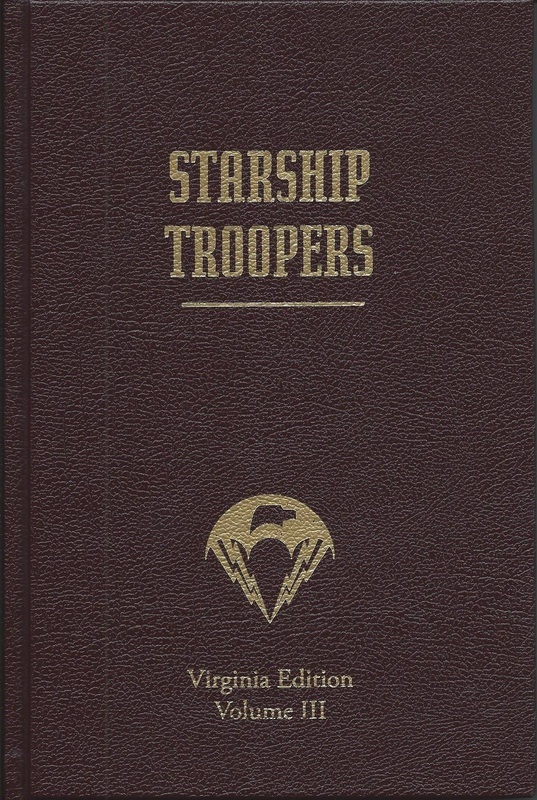 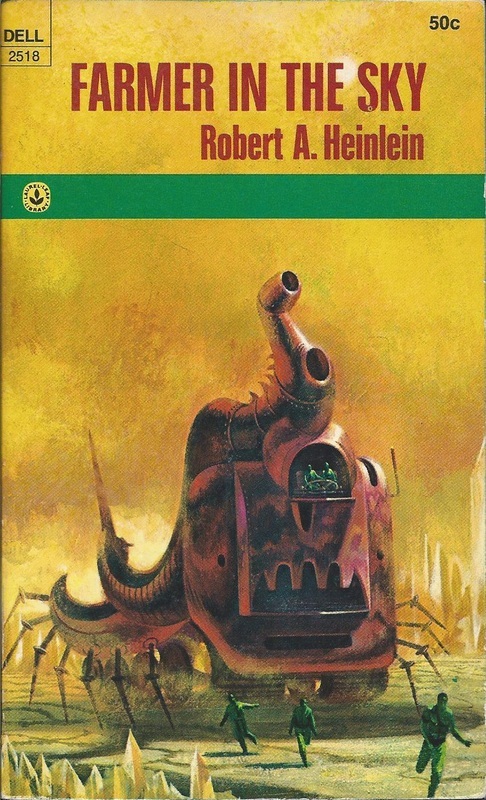 Remember to check out the lovely Emshwiller covers for Starship Troopers on my “Serializations” page, too; when first serialized in the Magazine of Fantasy and Science Fiction in October and November 1959, it was called Starship Soldier. 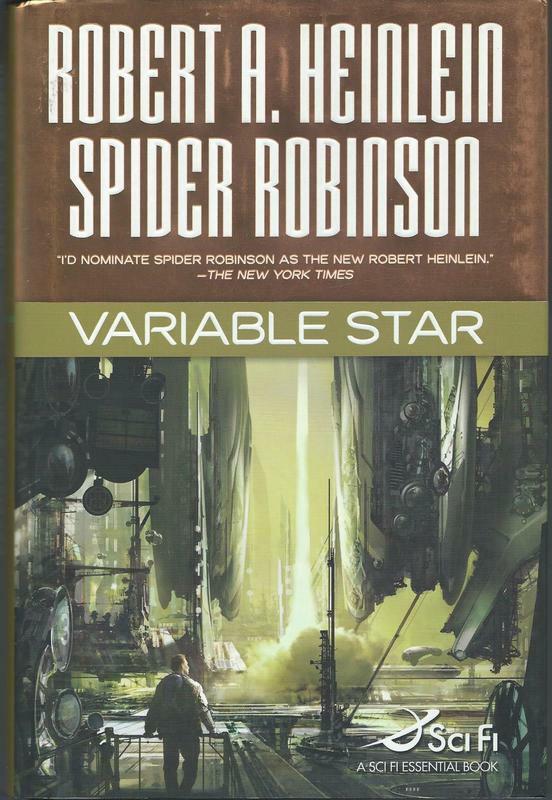 ​Variable Star is quite an organizational puzzle for the webmaster. 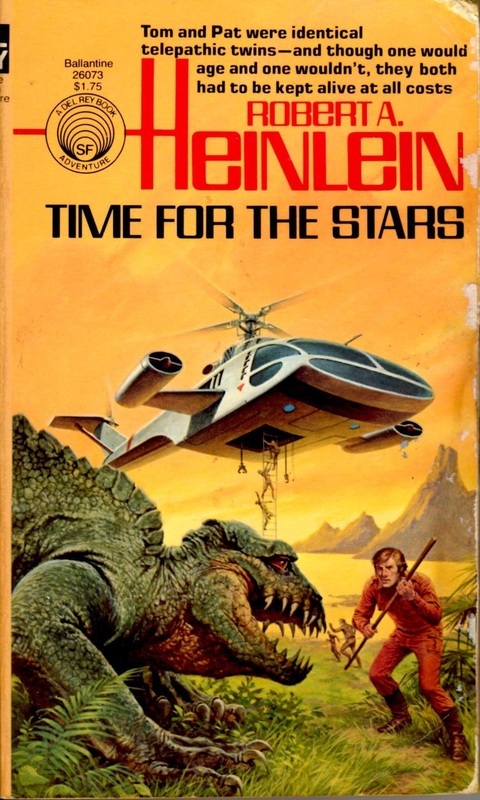 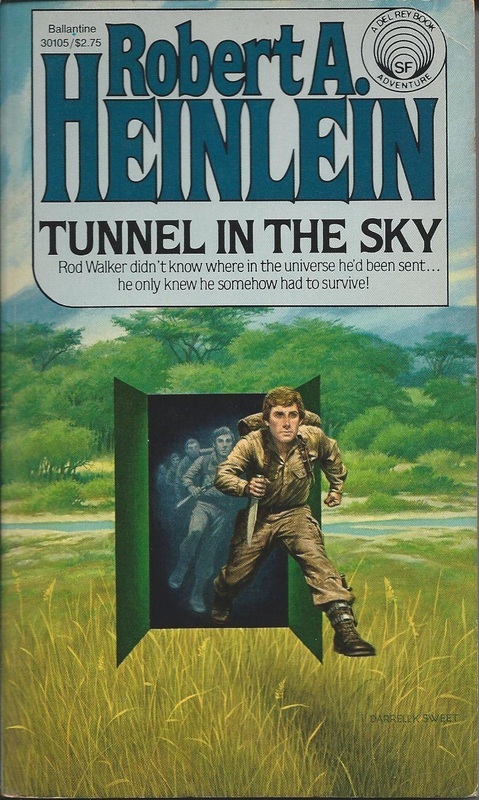 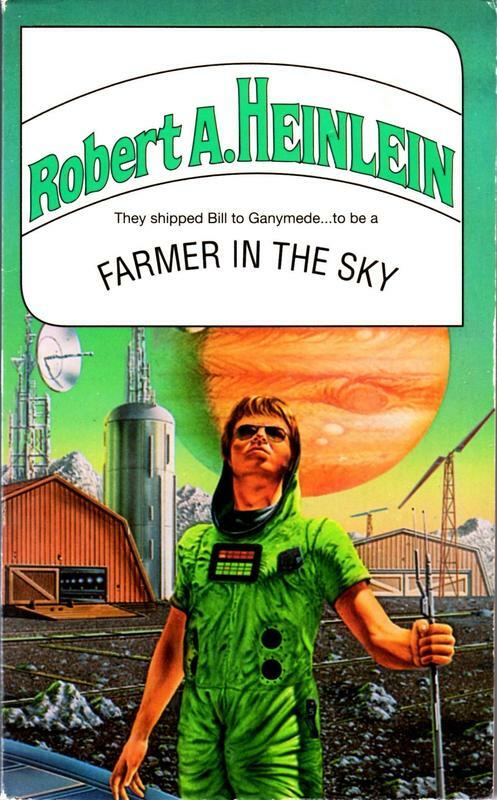 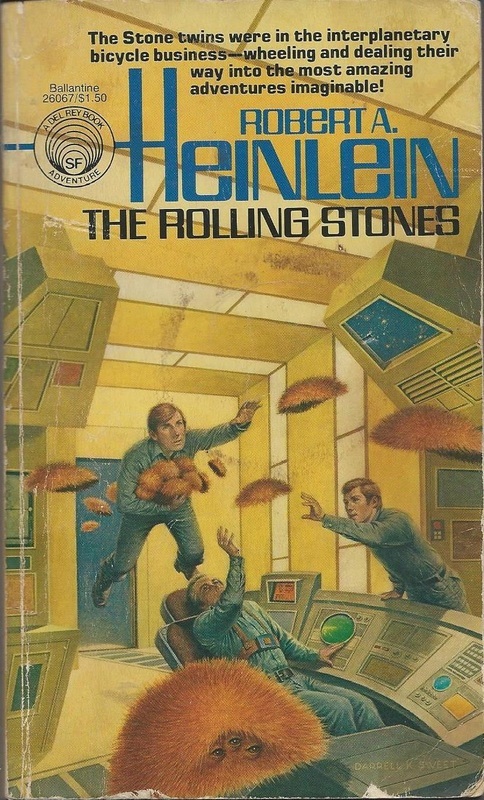 On the one hand, it could be termed a “later work” because...well, Spider Robinson did write and publish the novel eighteen years after Heinlein’s death, after all. 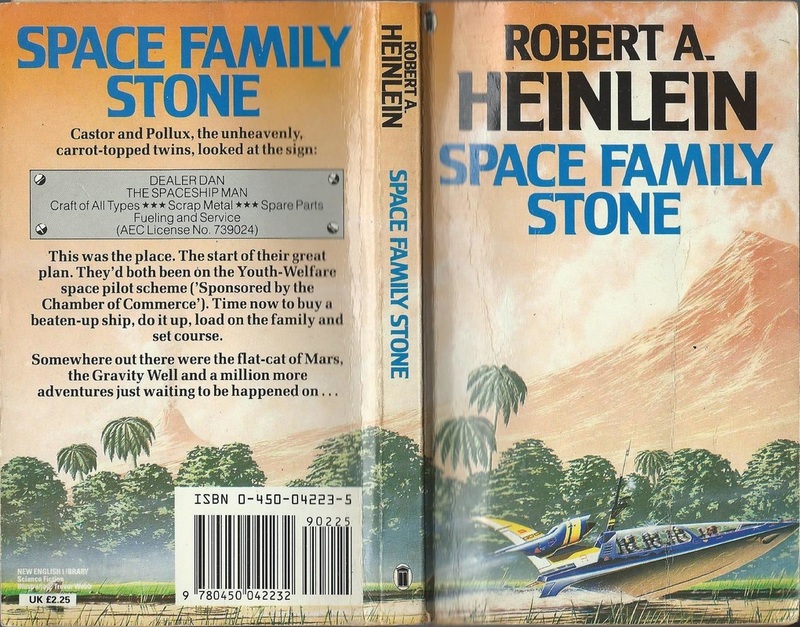 Still, Robinson based his work on the existing seven pages of an eight-page outline that Heinlein wrote when planning the novel as another of Scribner’s juvenile series, so...here it is.